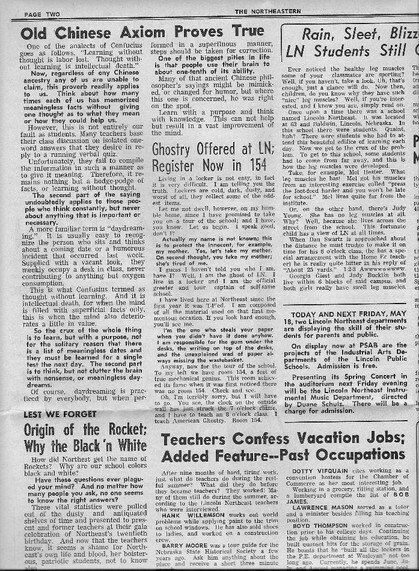 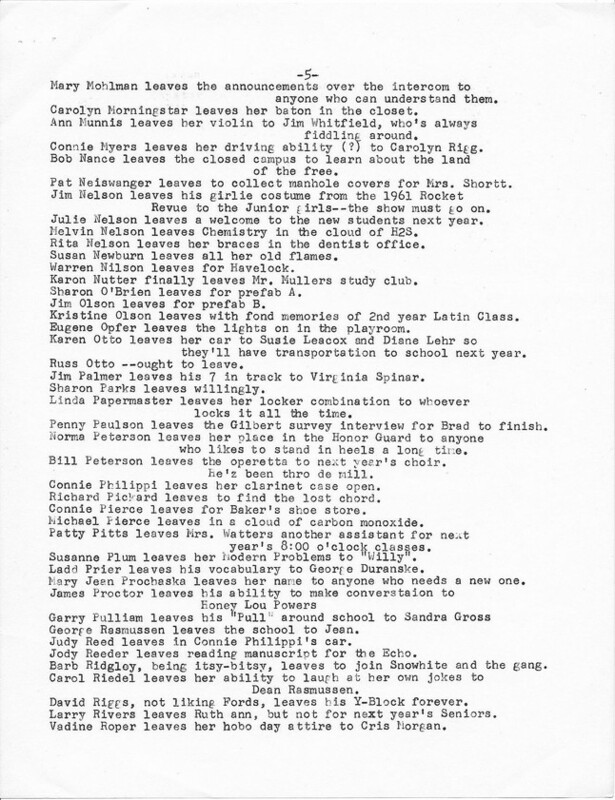 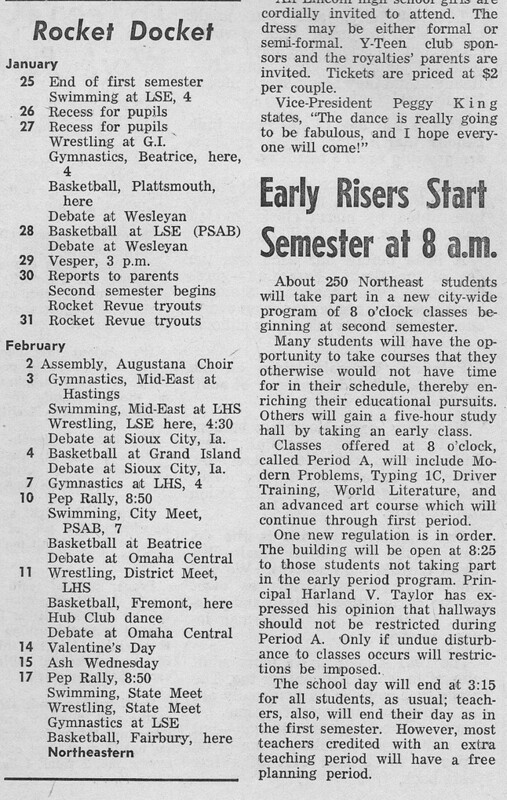 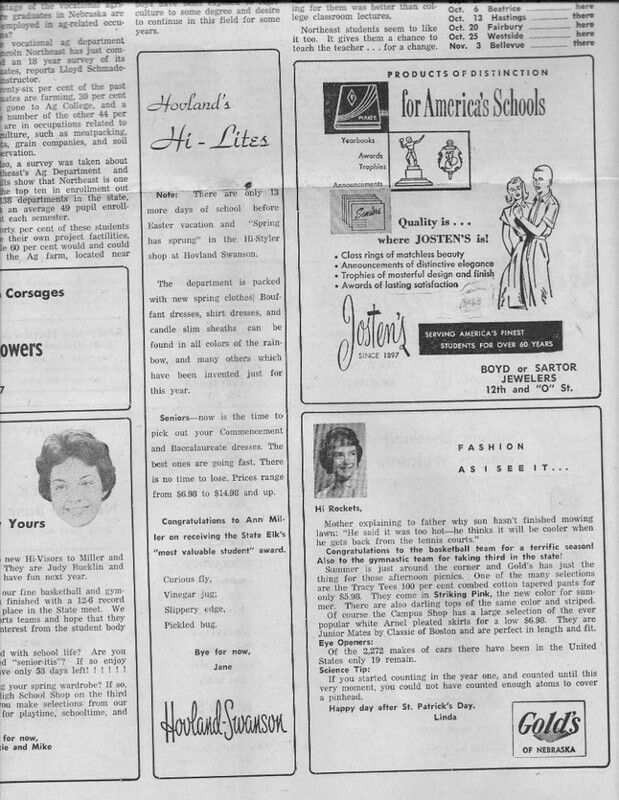 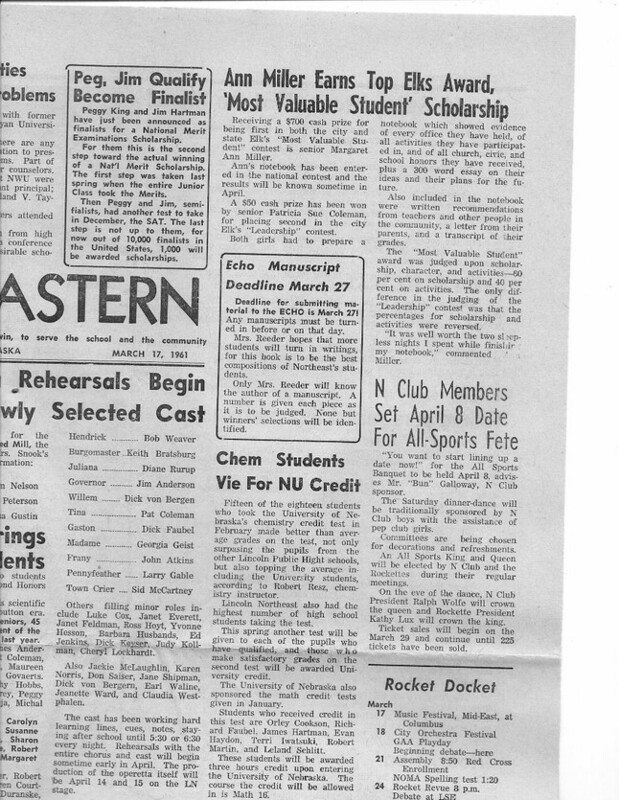 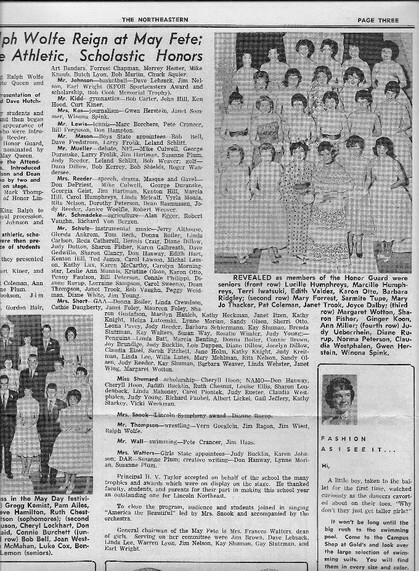 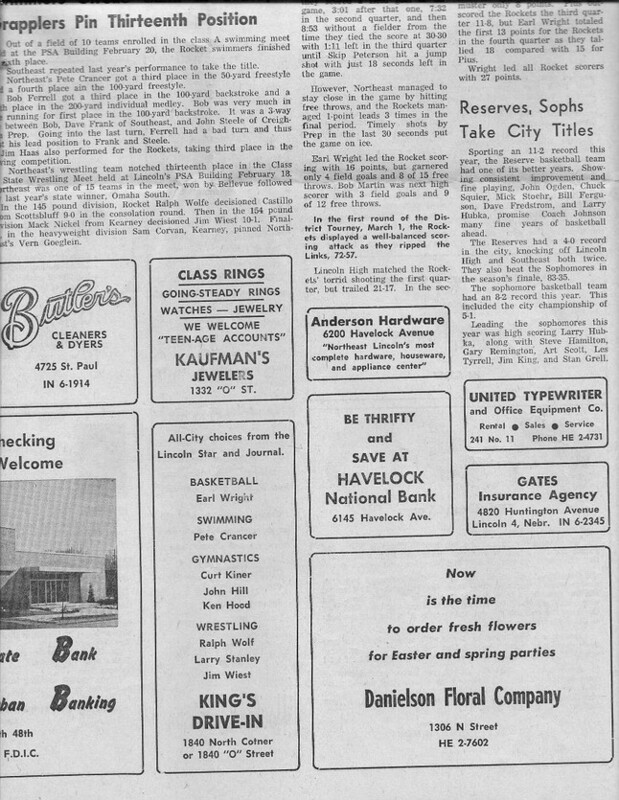 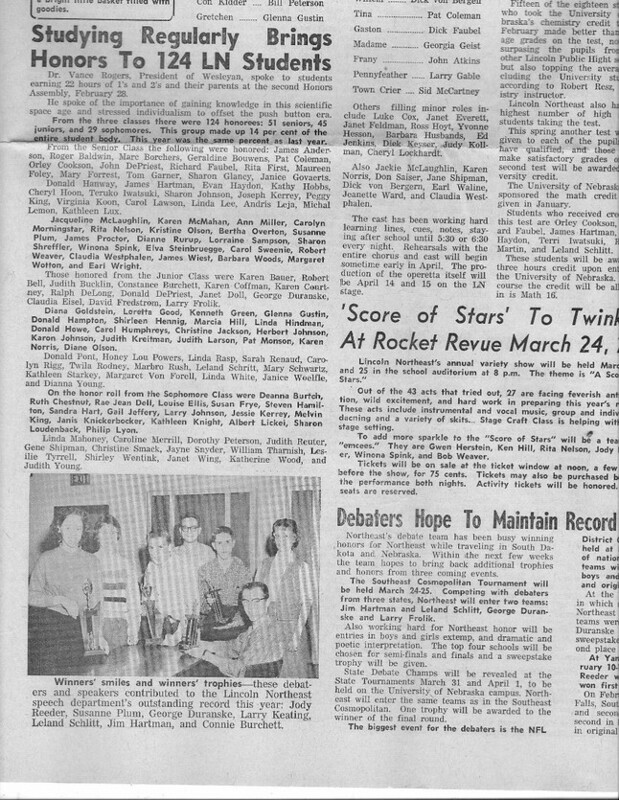 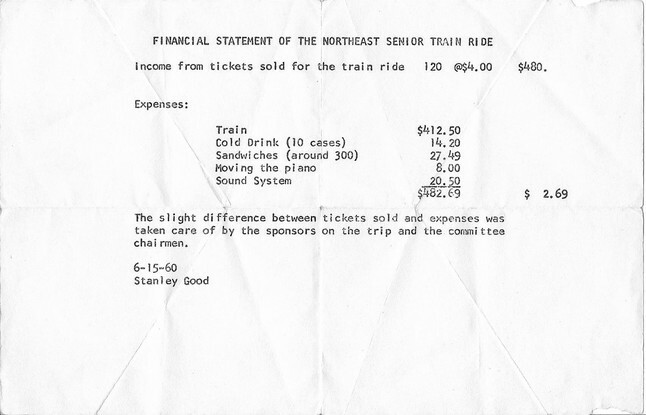 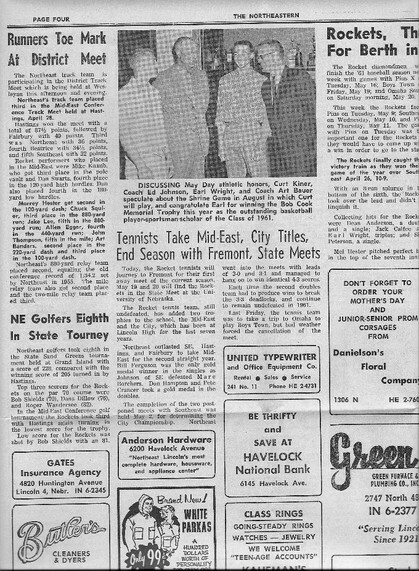 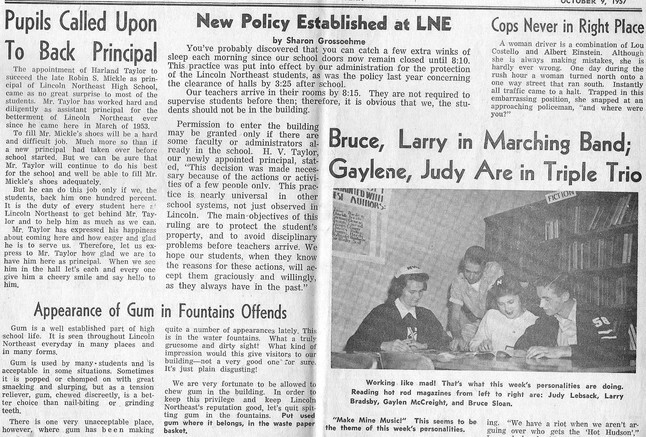 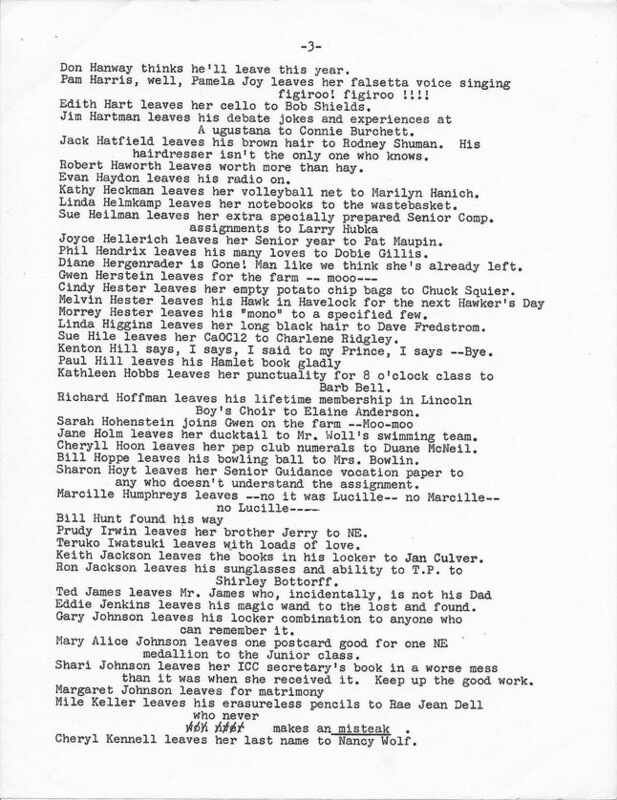 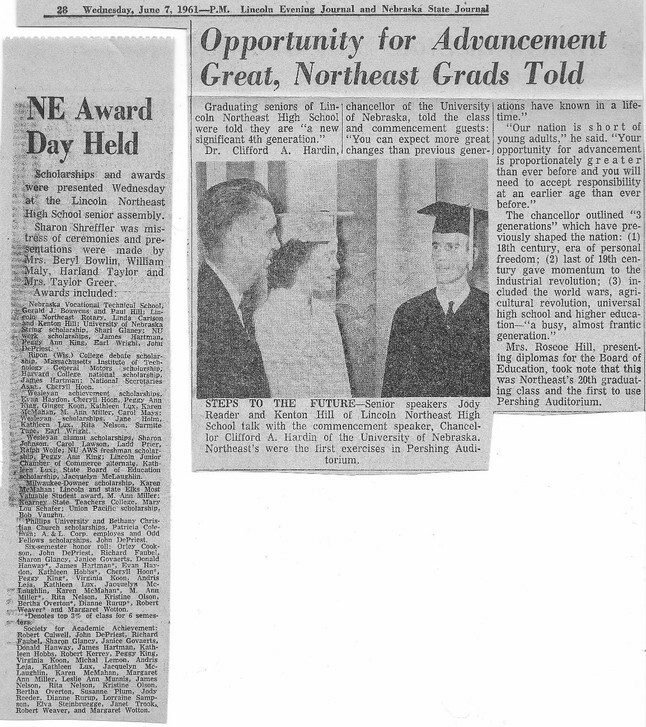 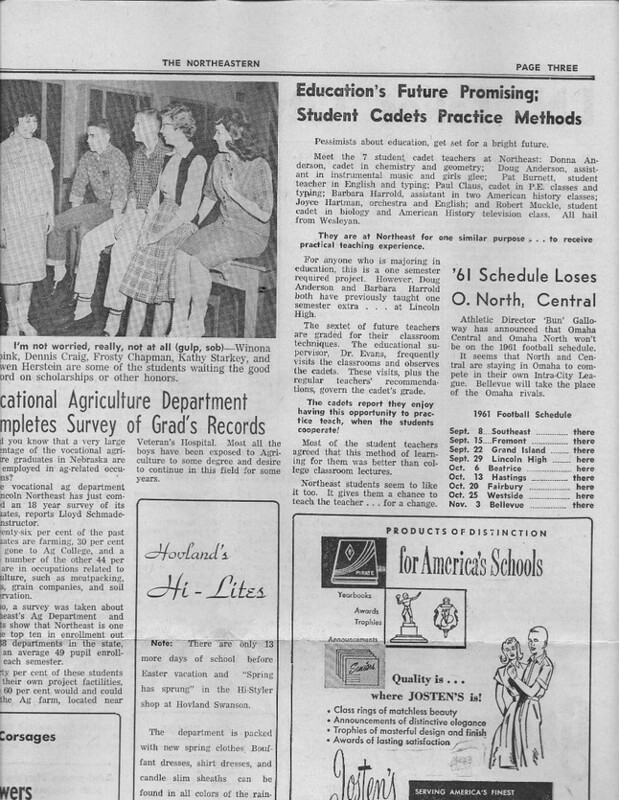 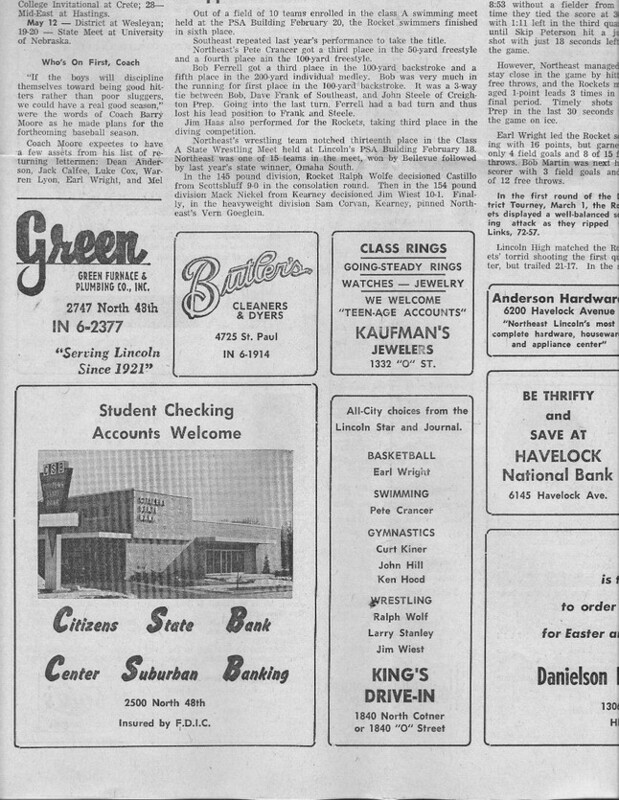 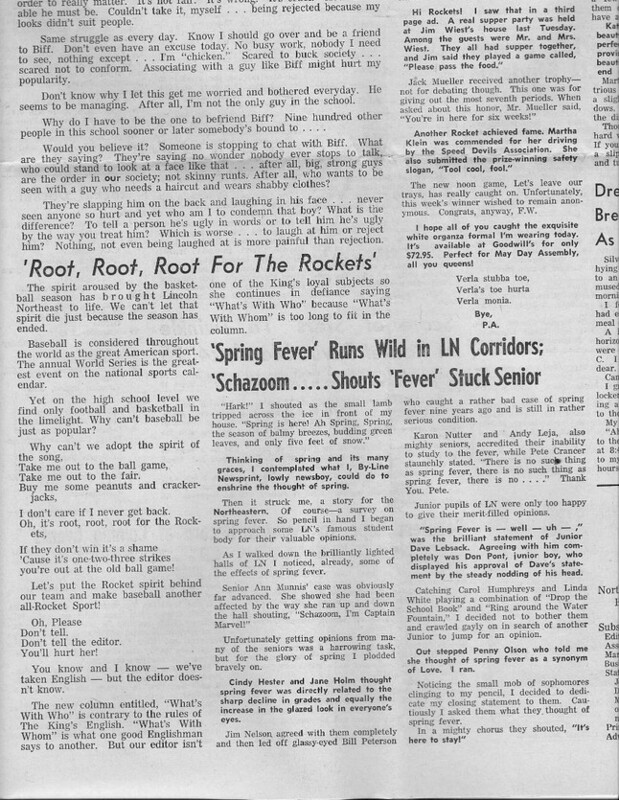 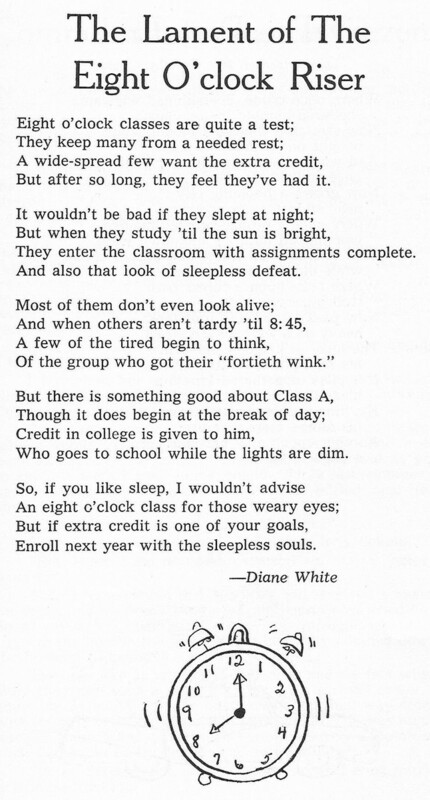 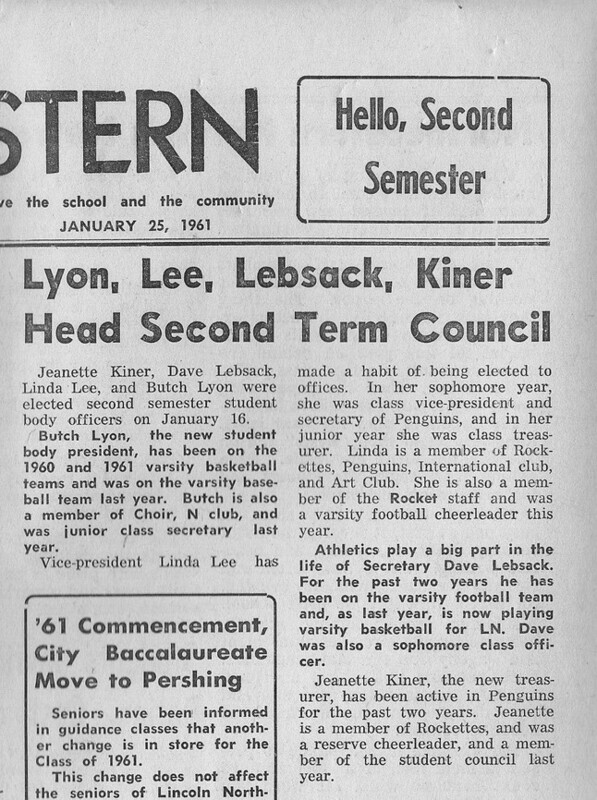 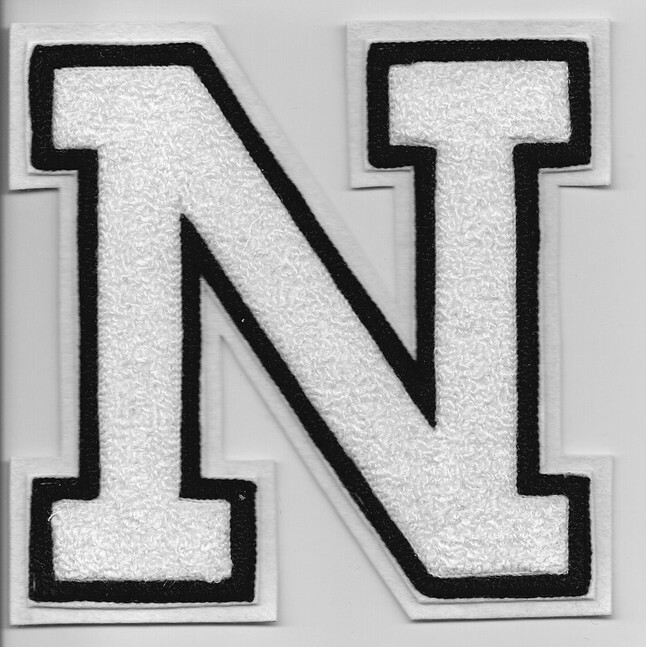 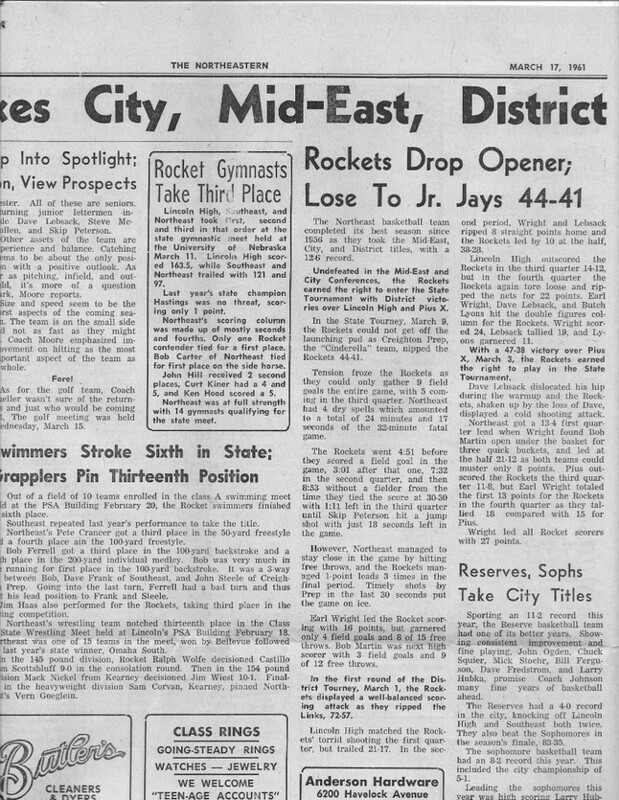 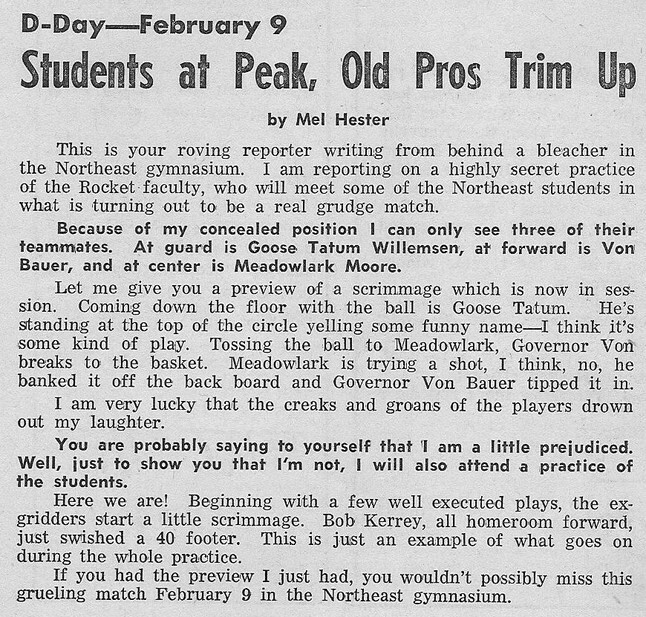 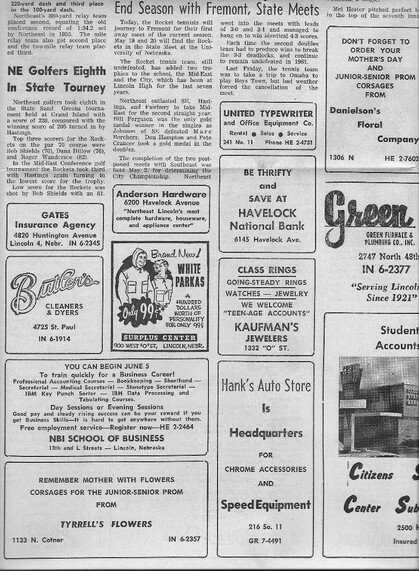 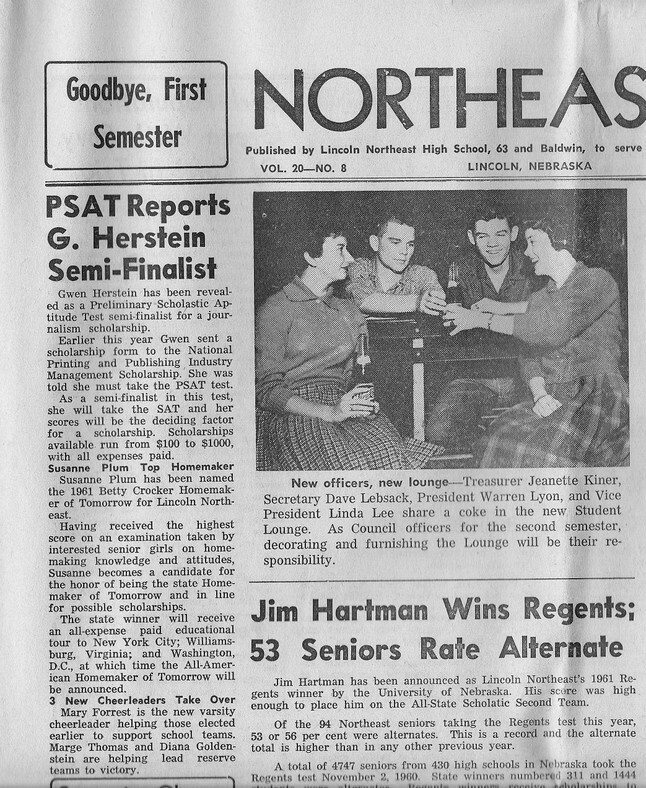 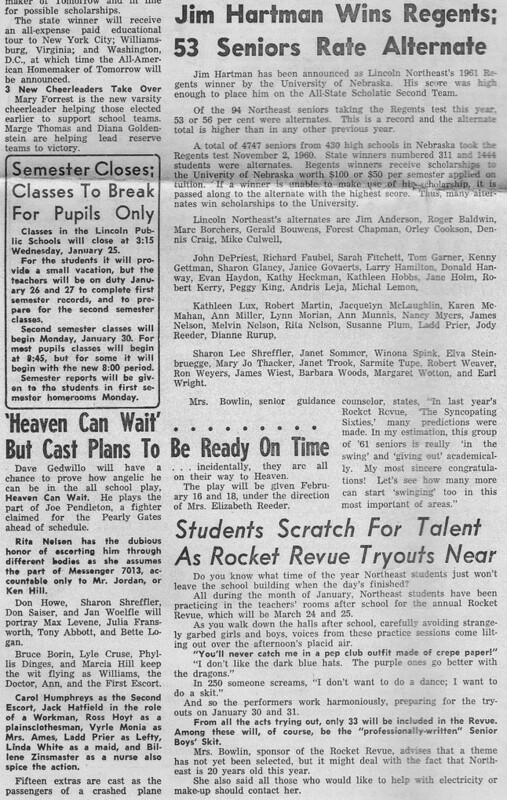 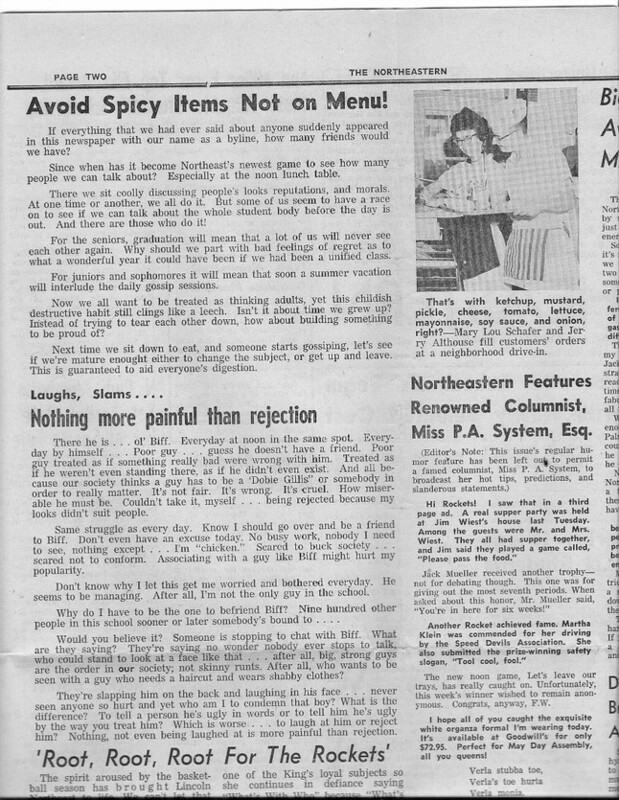 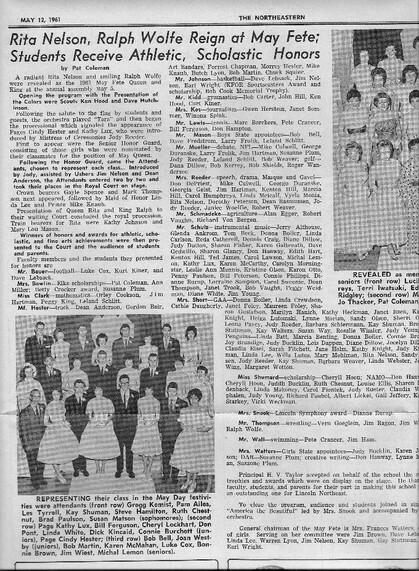 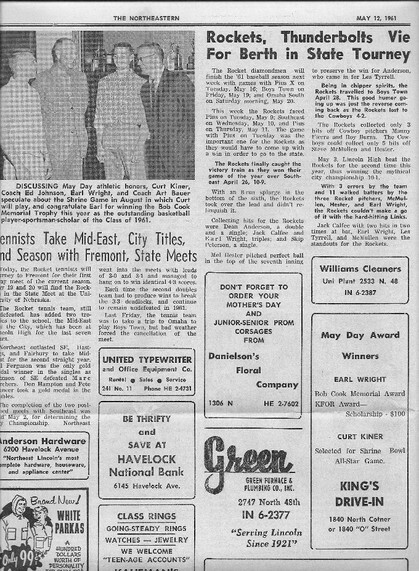 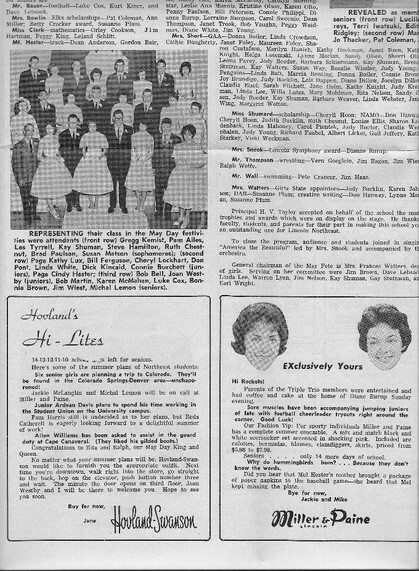 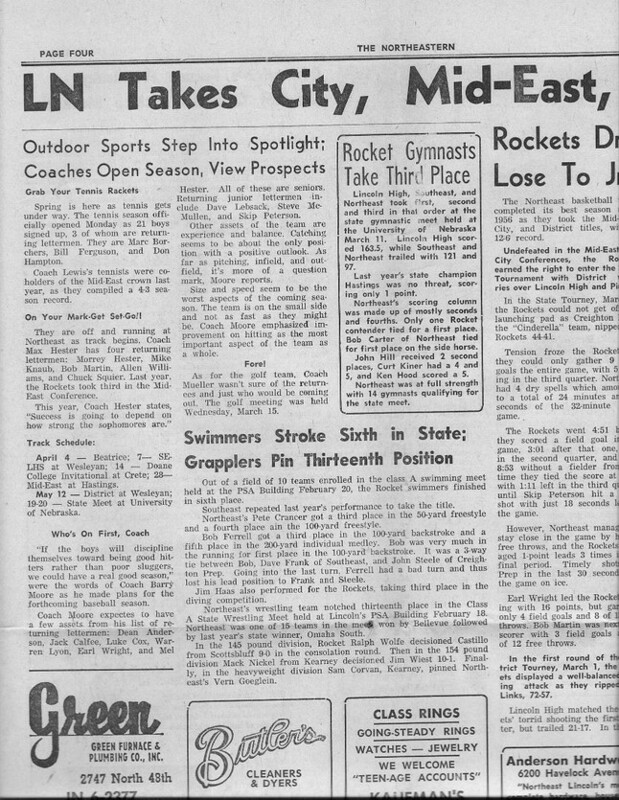 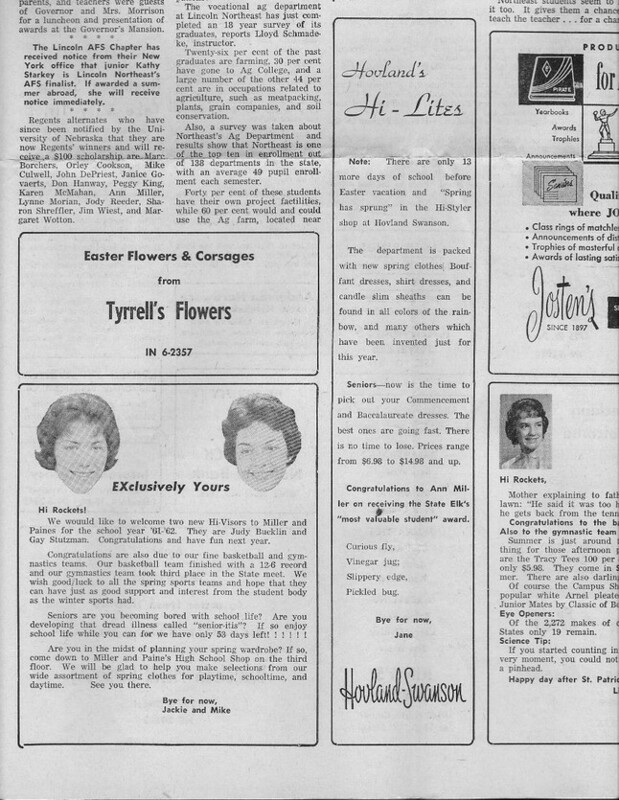 The Northeastern paper for March 17, 1961 is below. 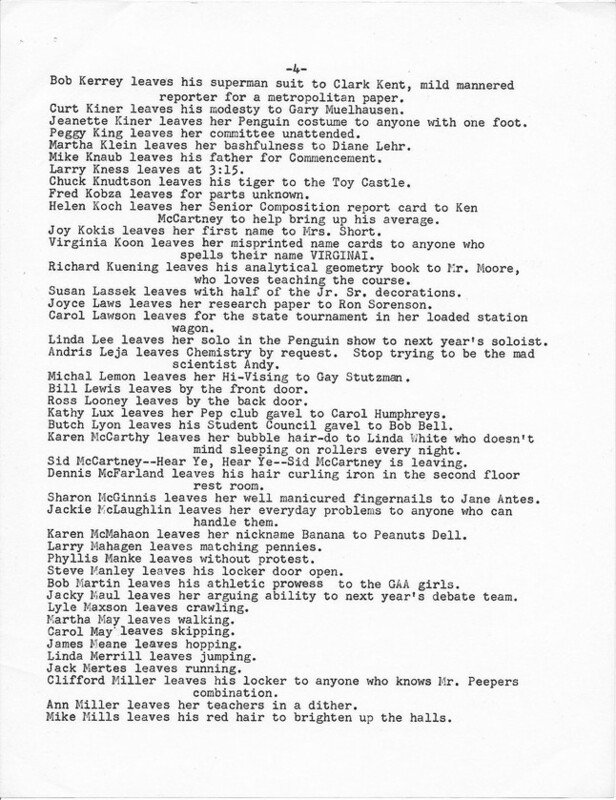 Each page is broken up into four segments. 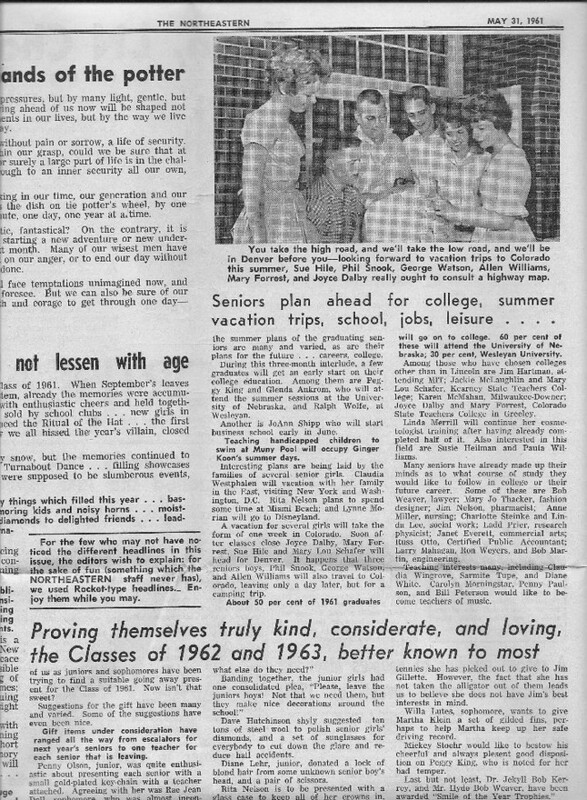 Click on the segment that you wish to see. 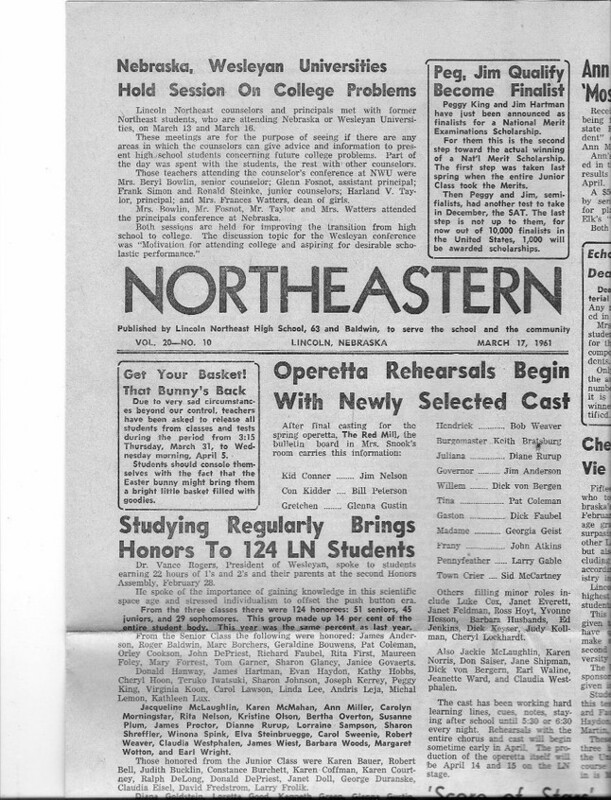 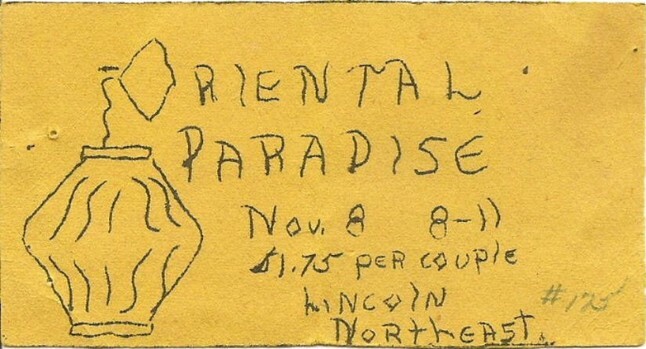 The Northeastern paper for April 12, 1961 is below. 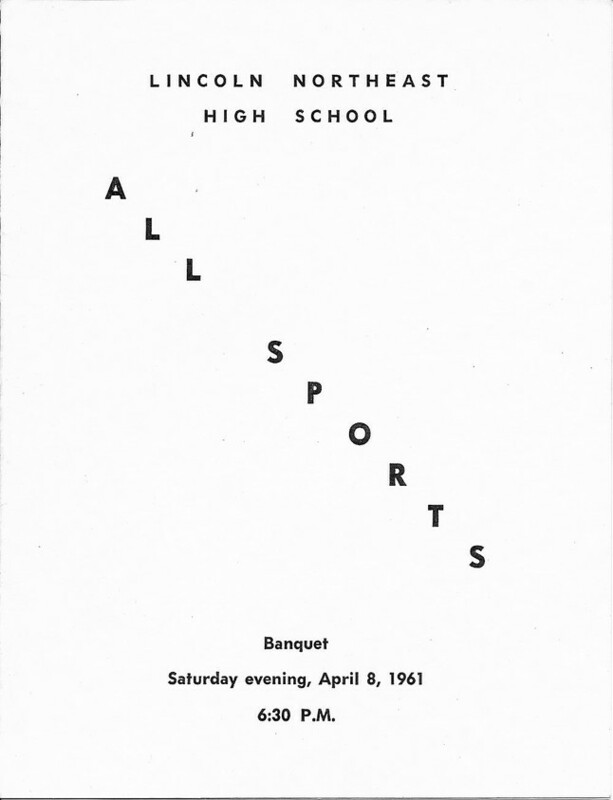 Each page is broken up into four segments. 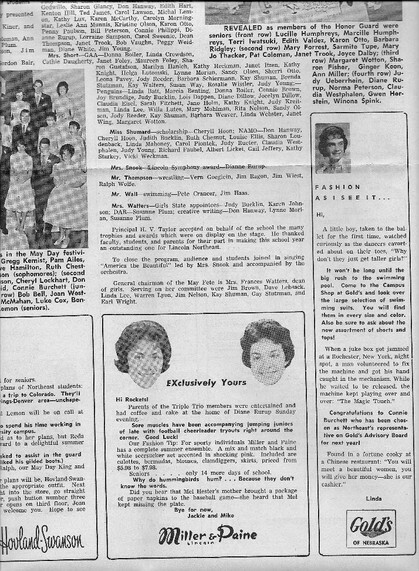 Click on the segment that you wish to see. 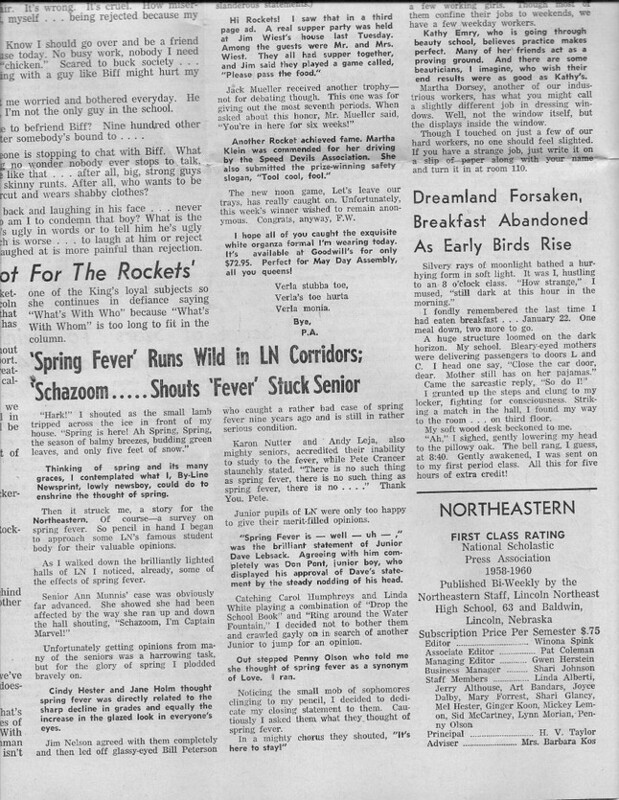 The Northeastern paper for April 28, 1961 is below. 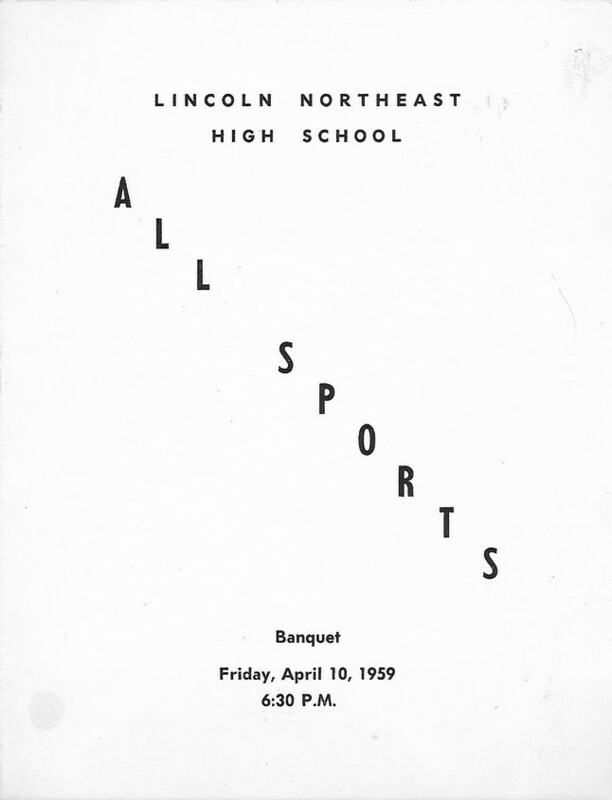 Each page is broken up into four segments. 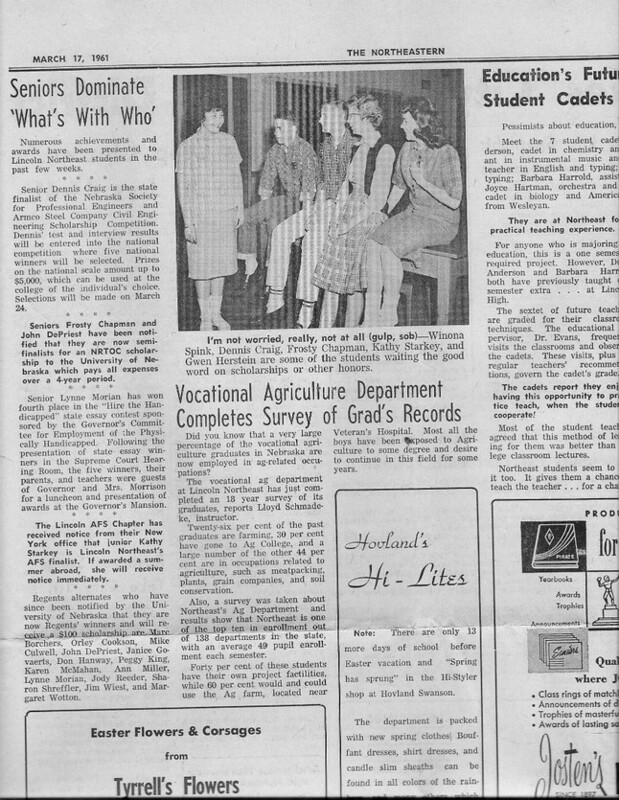 Click on the segment that you wish to see. 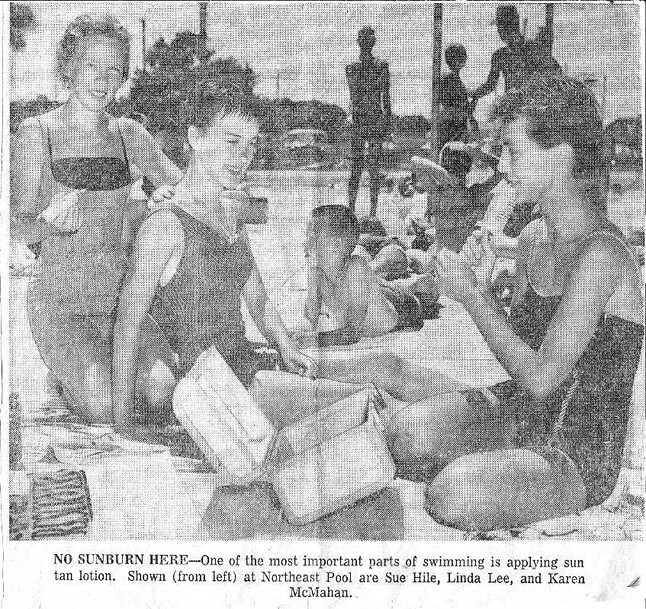 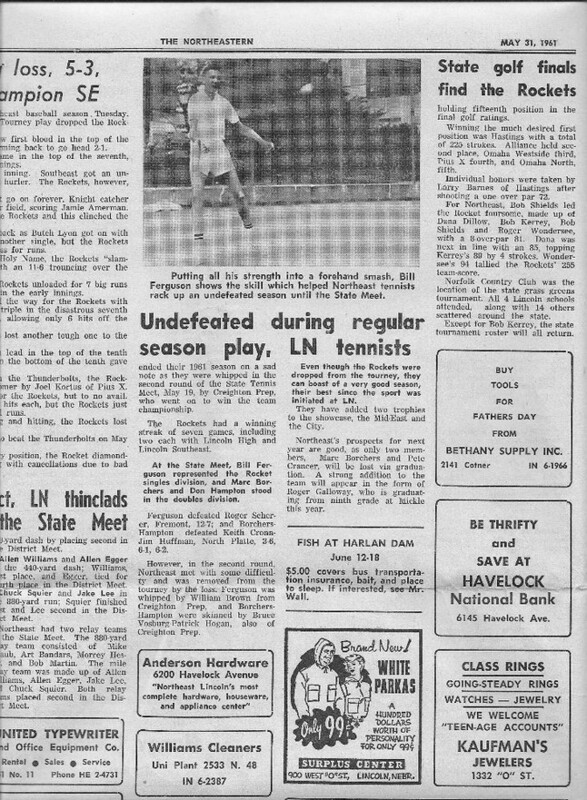 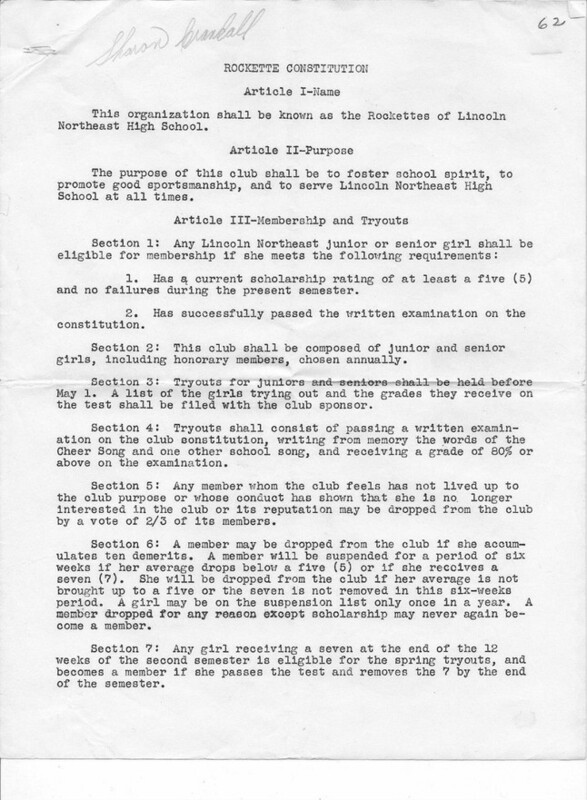 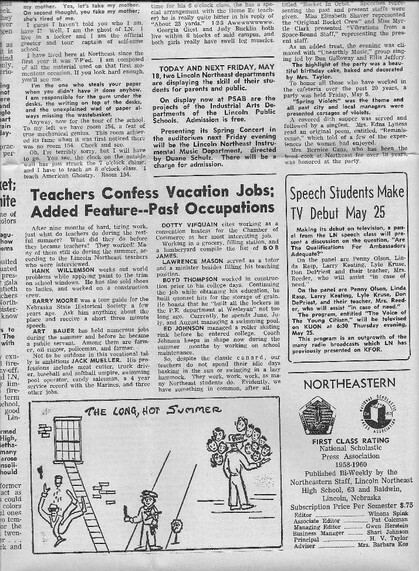 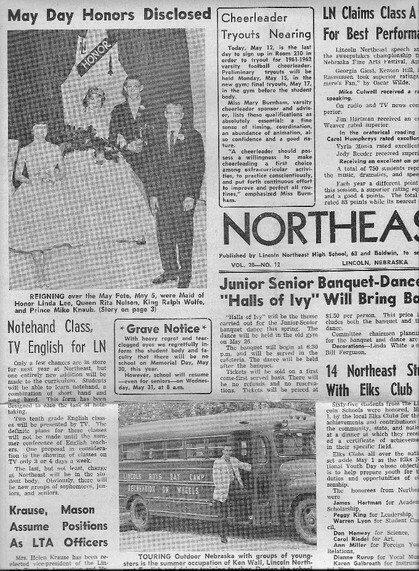 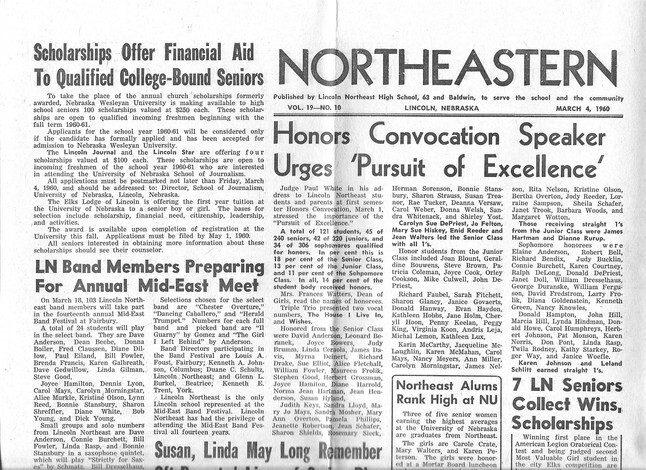 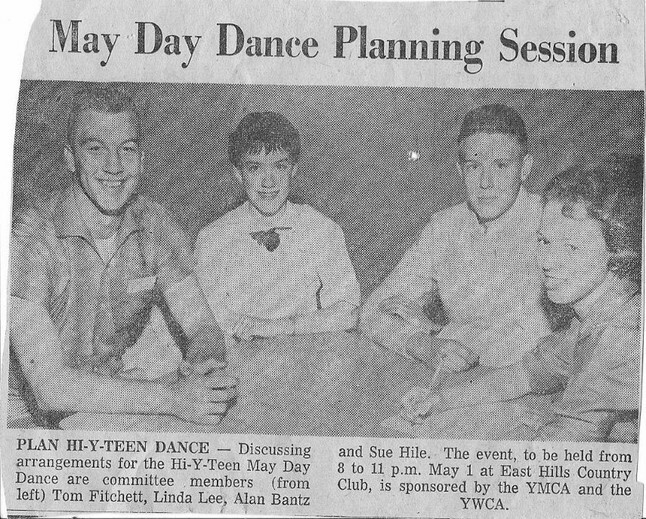 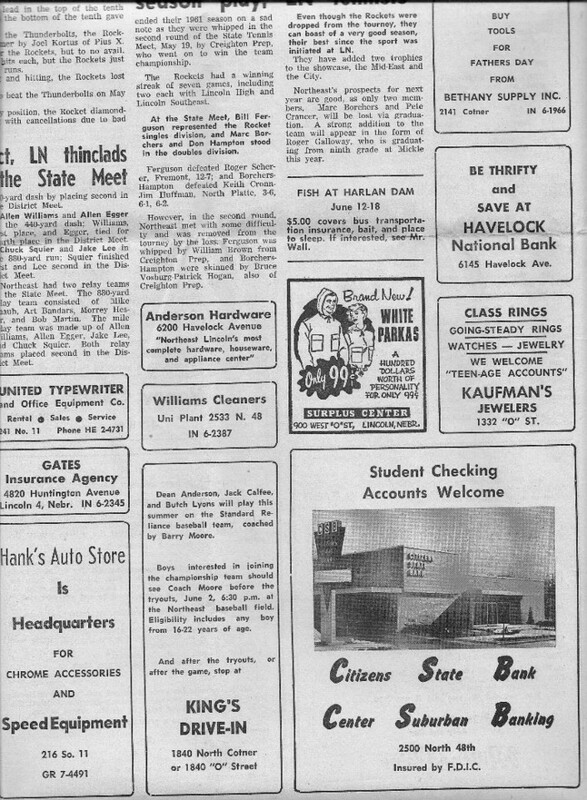 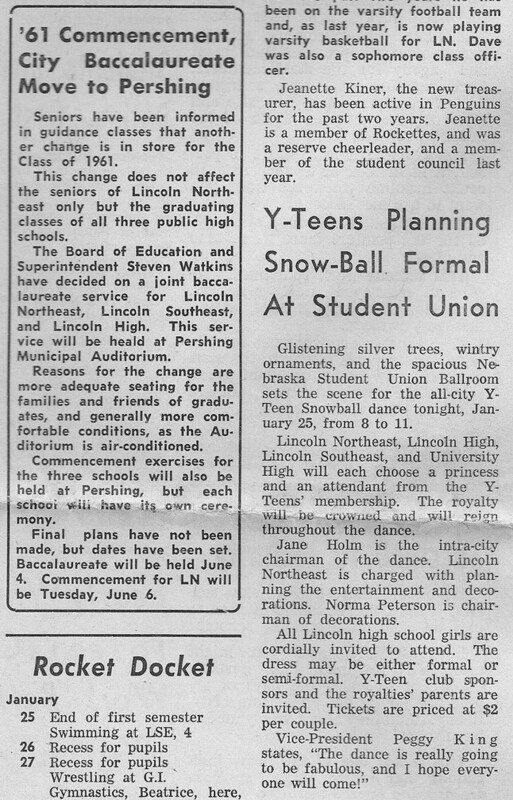 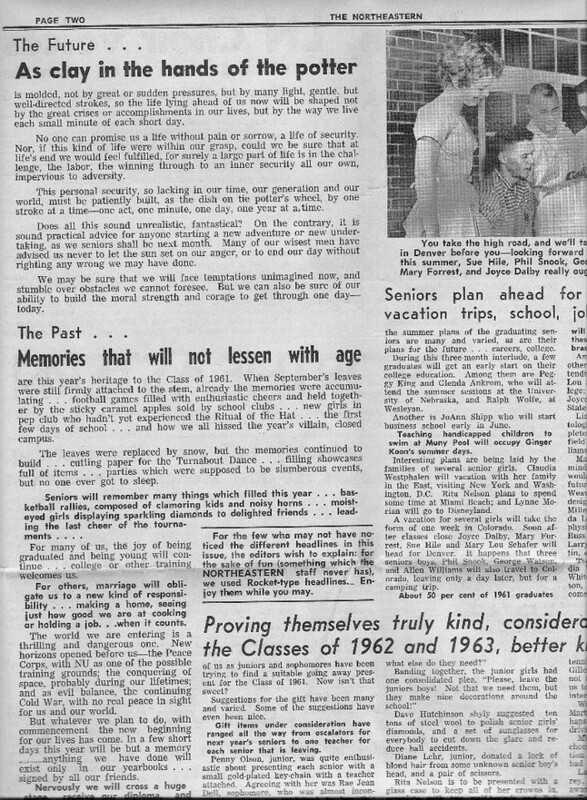 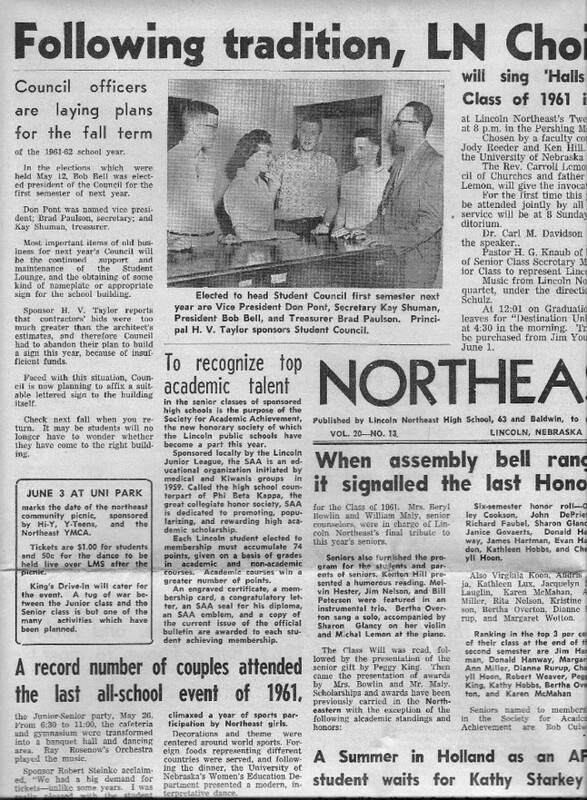 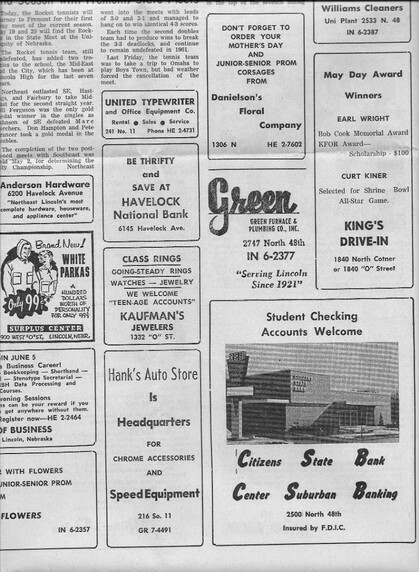 The Northeastern paper for May 12, 1961 is below. 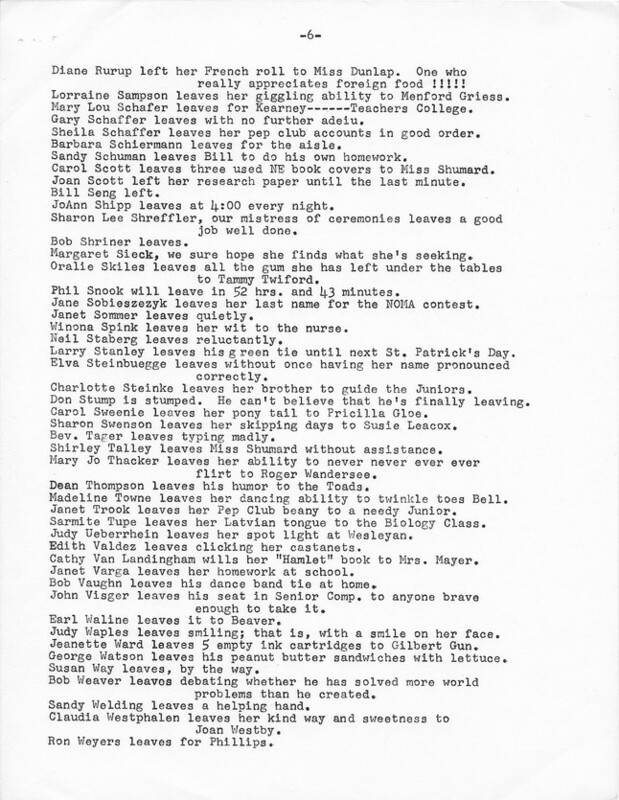 Each page is broken up into four segments. 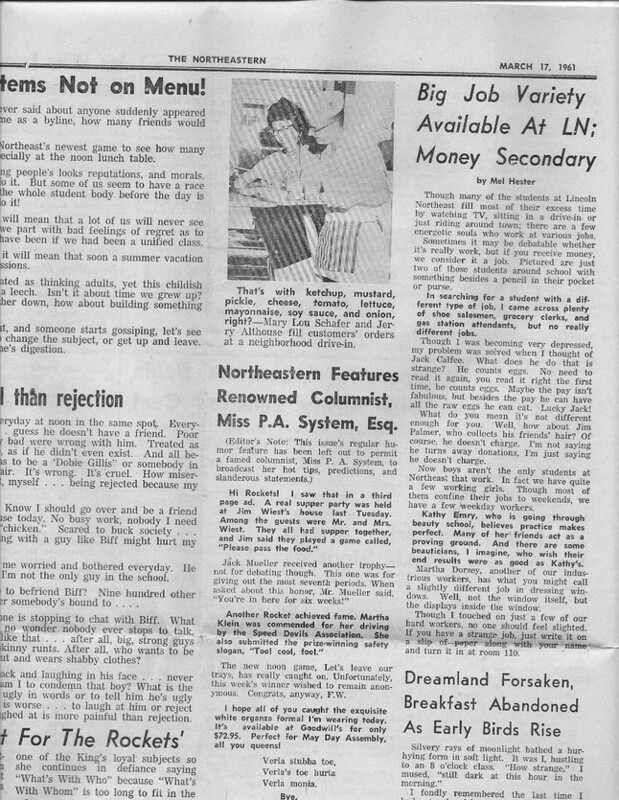 Click on the segment that you wish to see. 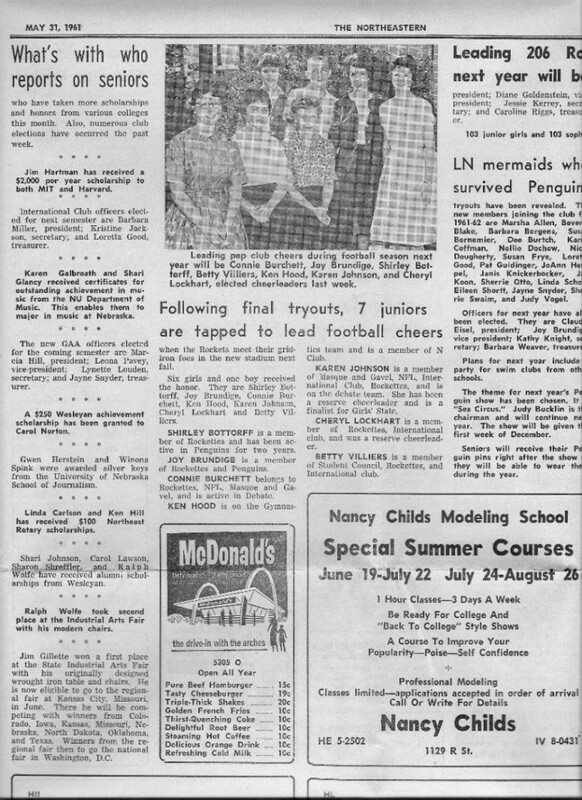 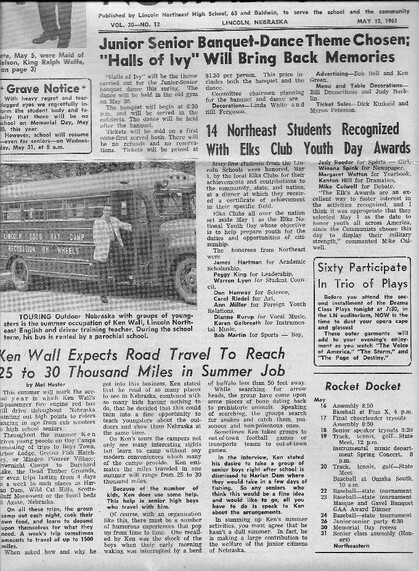 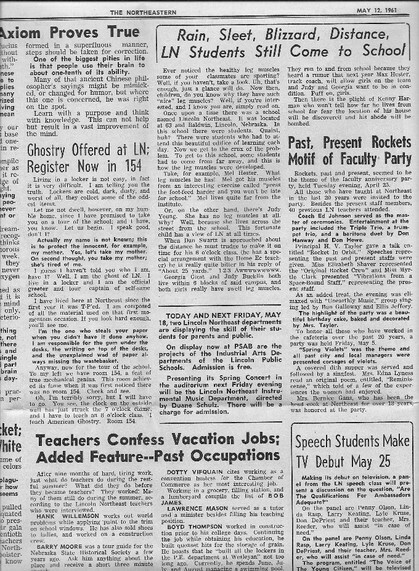 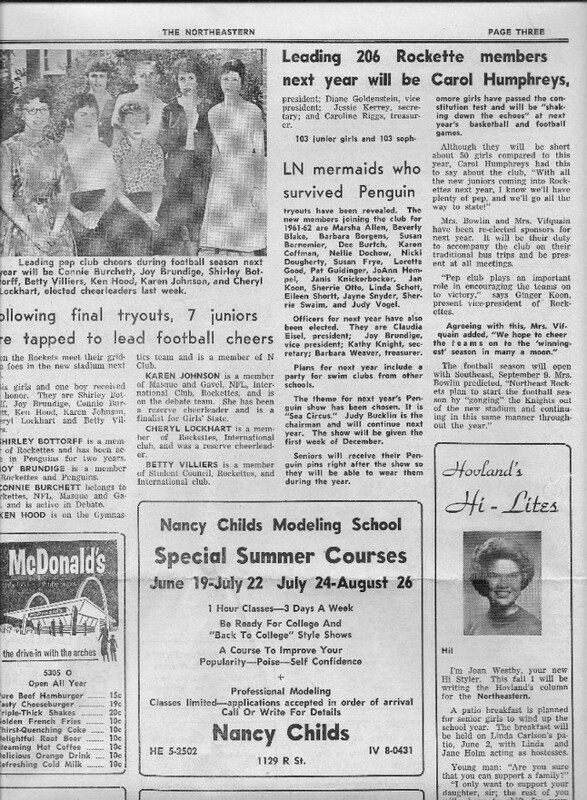 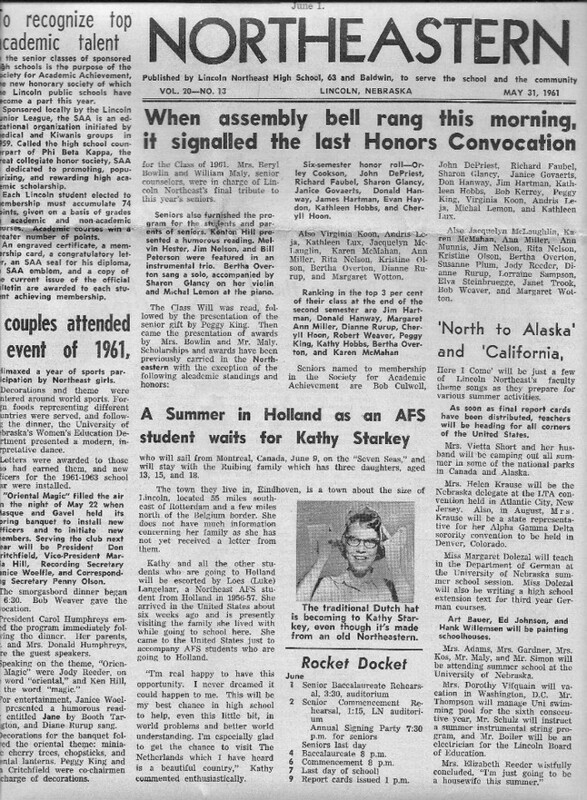 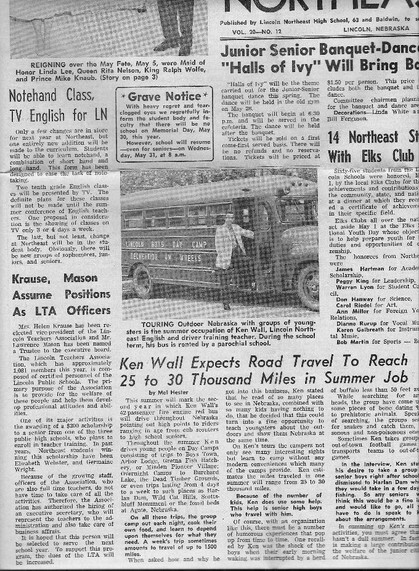 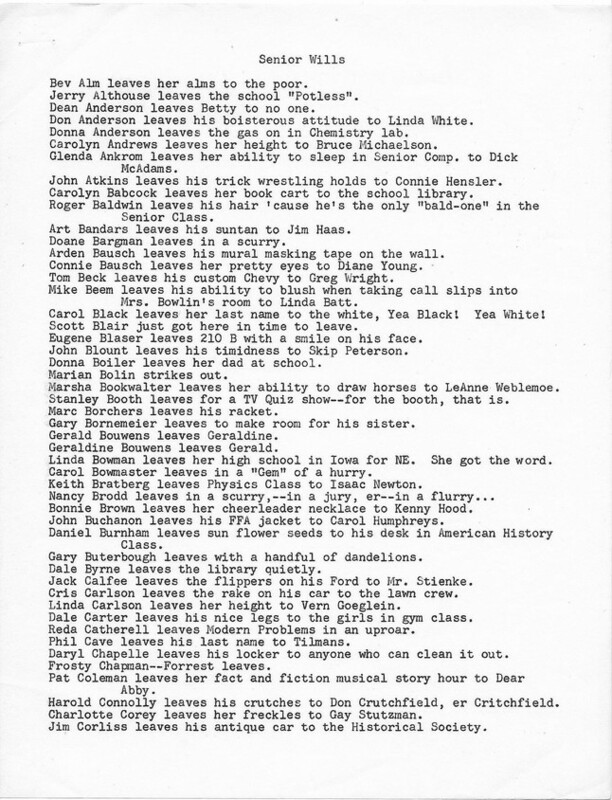 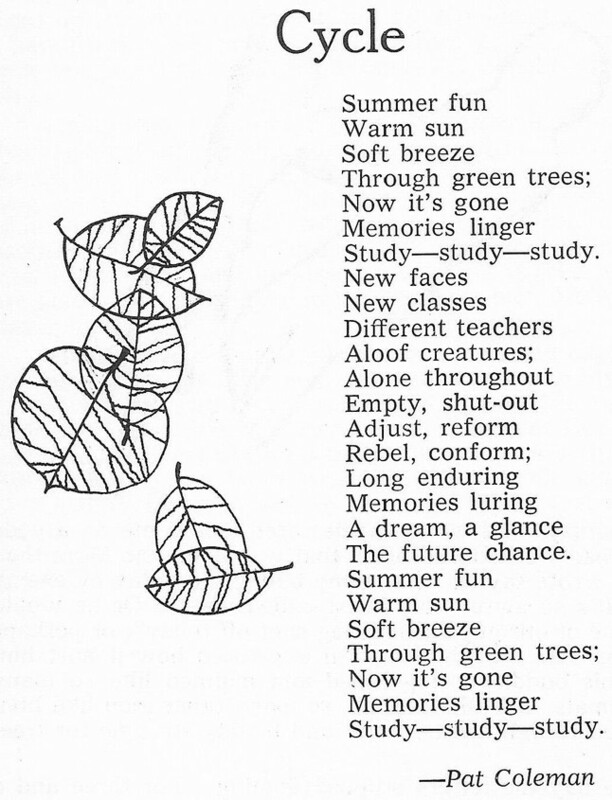 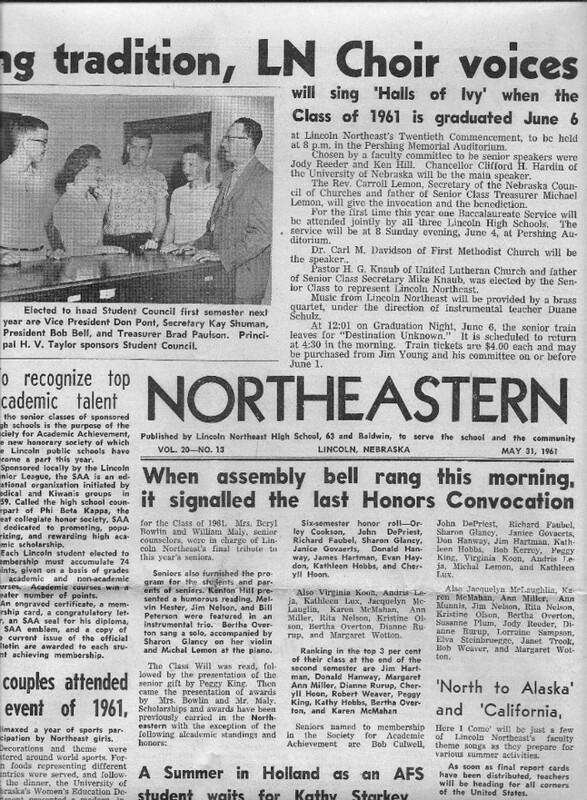 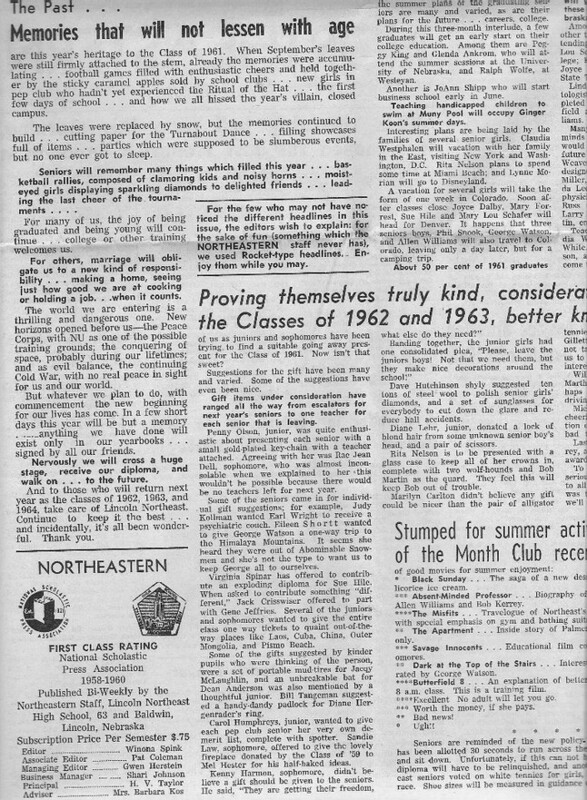 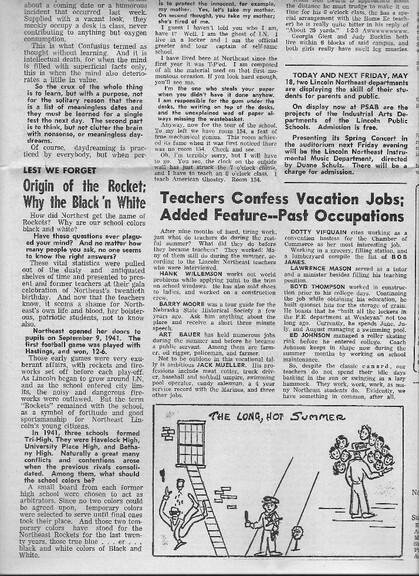 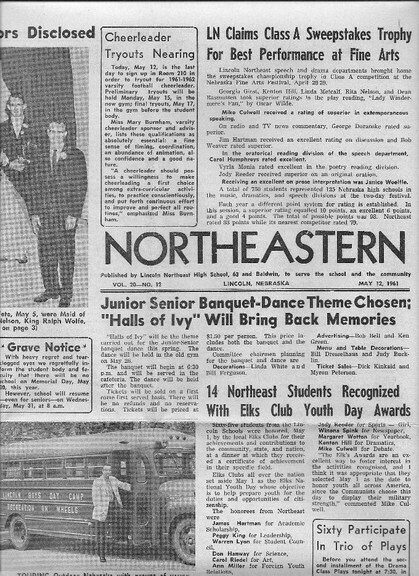 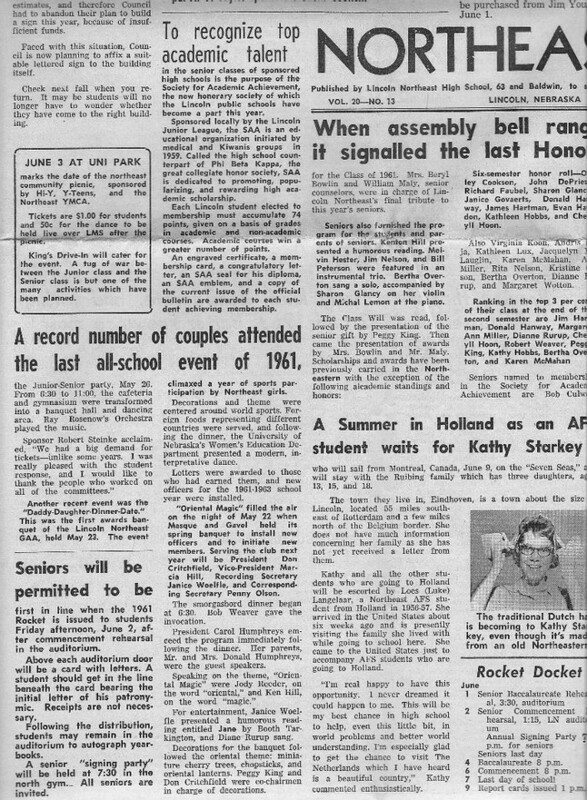 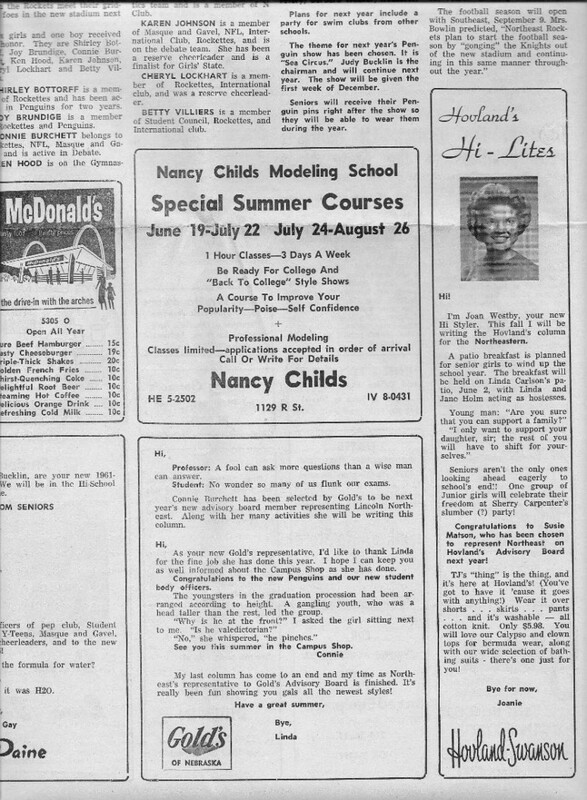 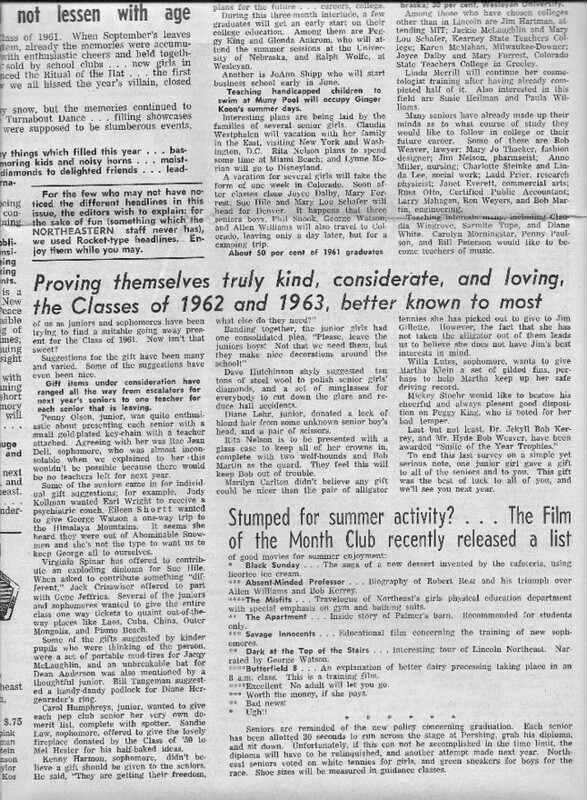 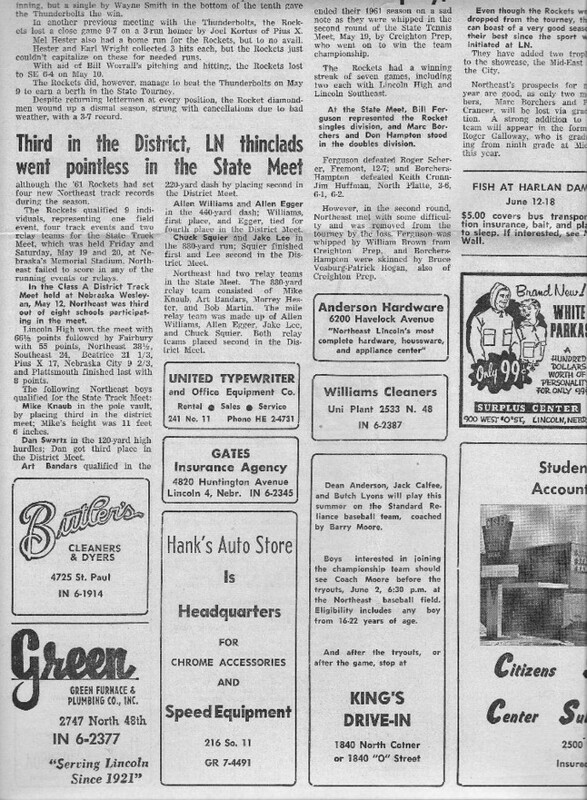 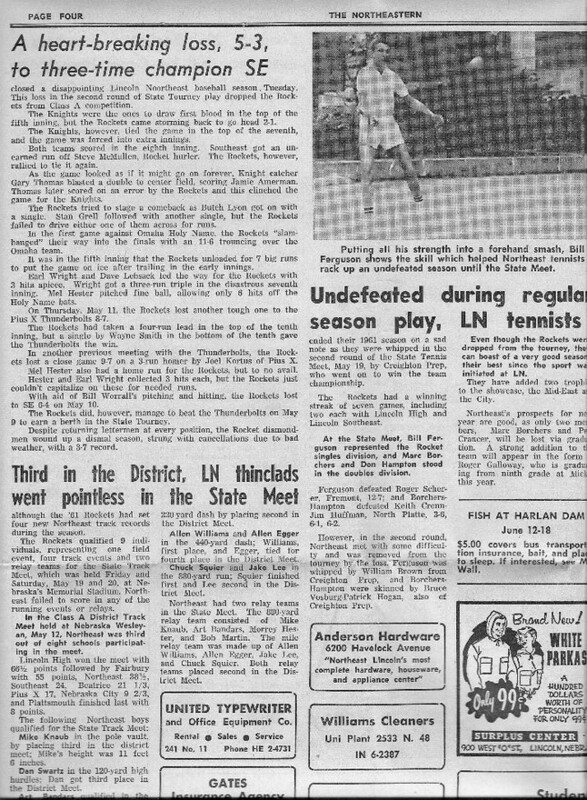 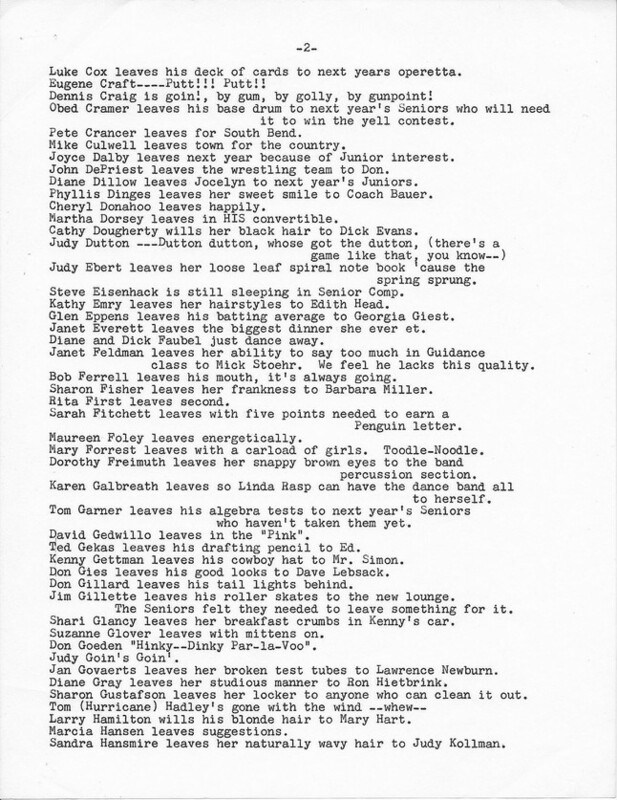 The Northeastern paper for May 31, 1961 is below. 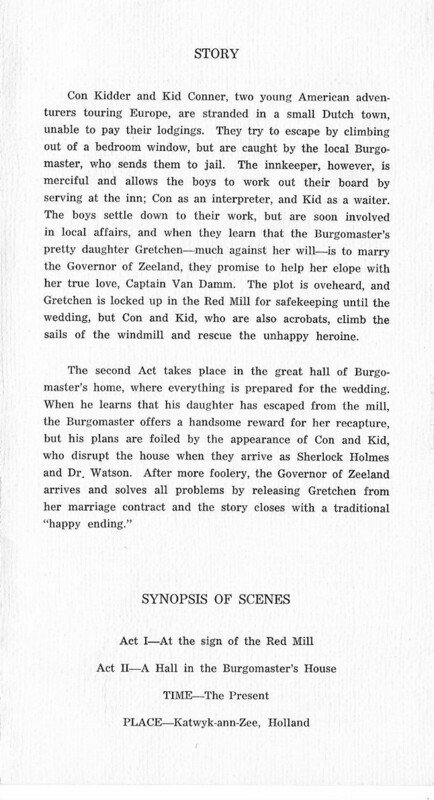 Each page is broken up into four segments. 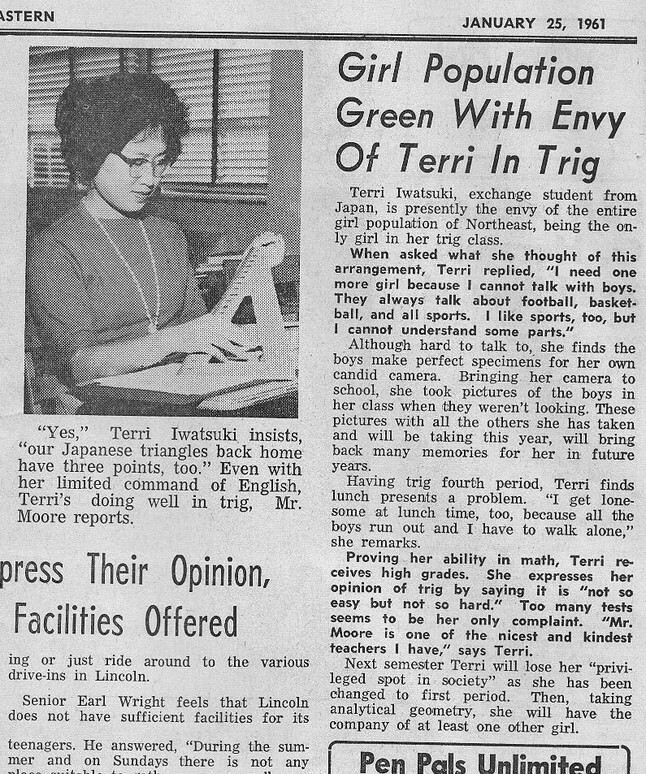 Click on the segment that you wish to see. 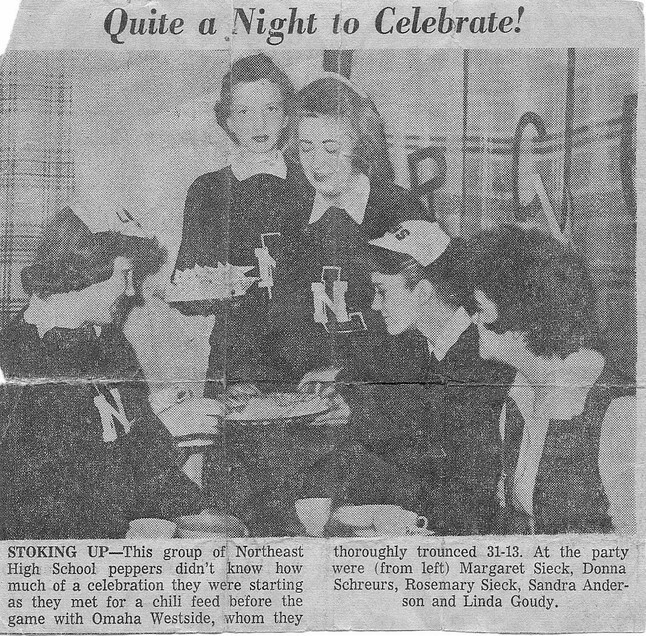 For all you girls that were in the Pep Club. 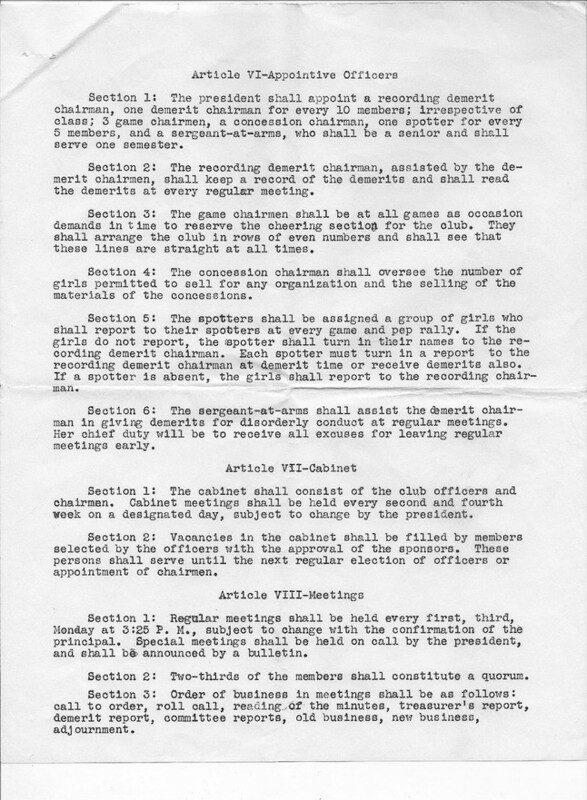 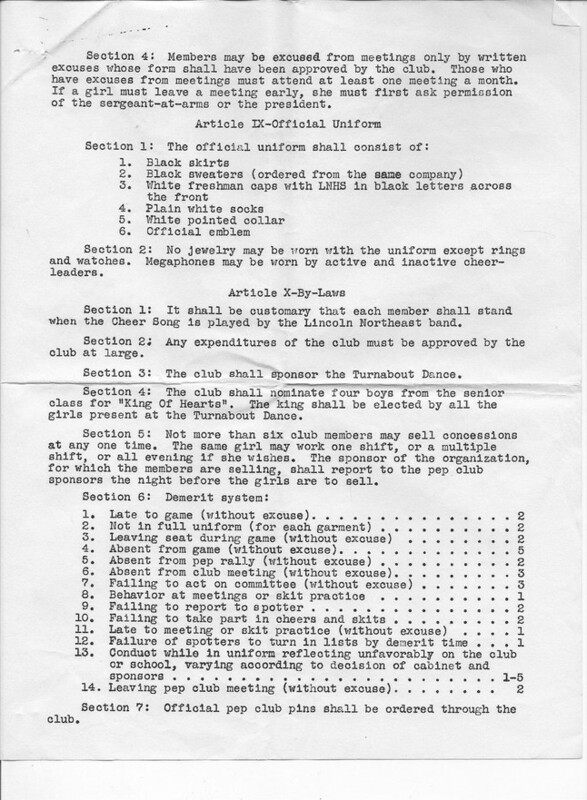 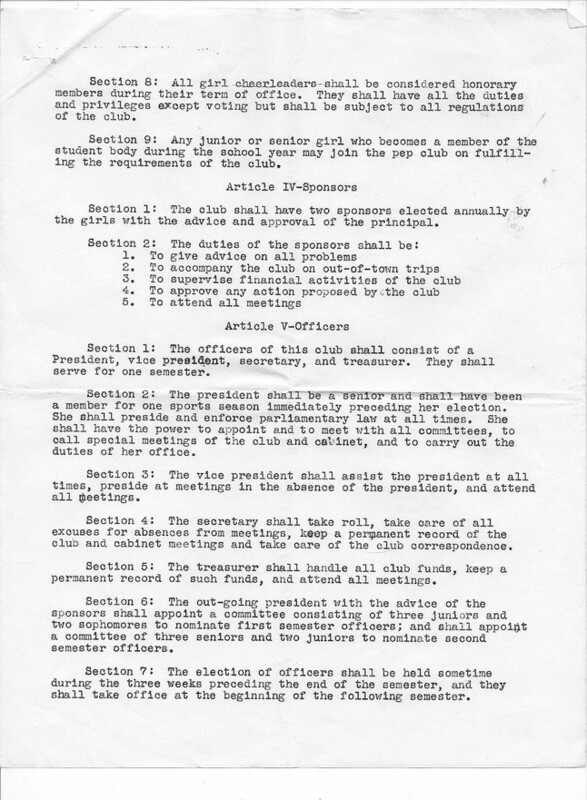 Here are the rules you must adhere to in order to be a member of the club. 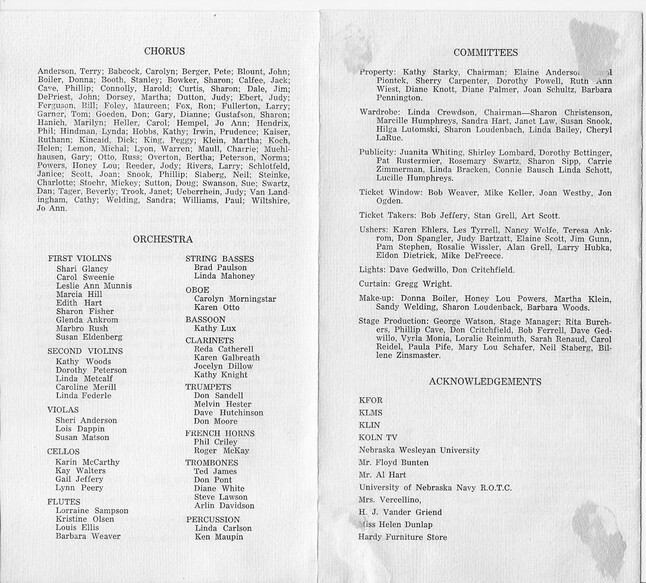 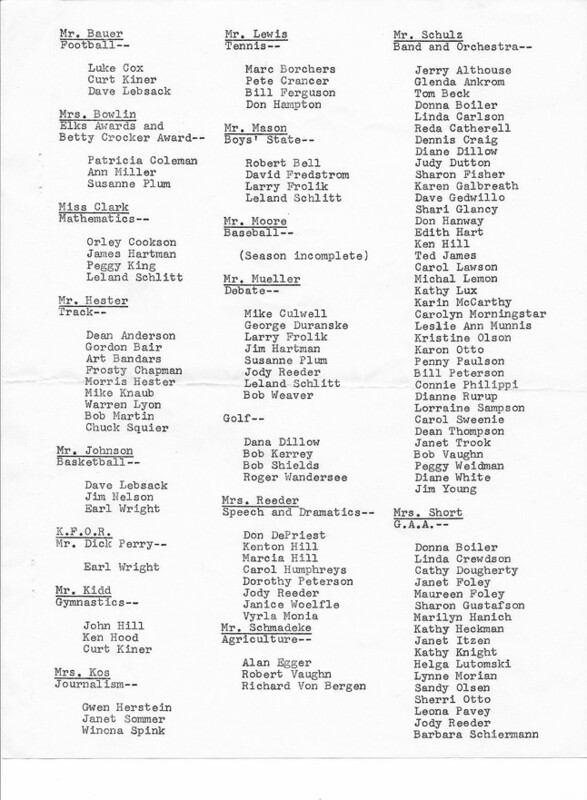 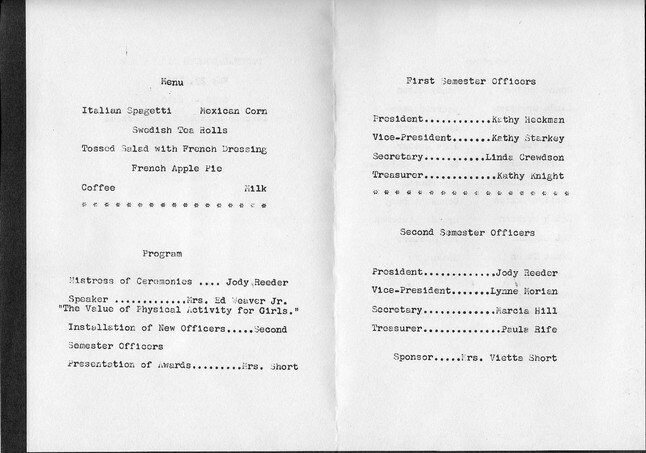 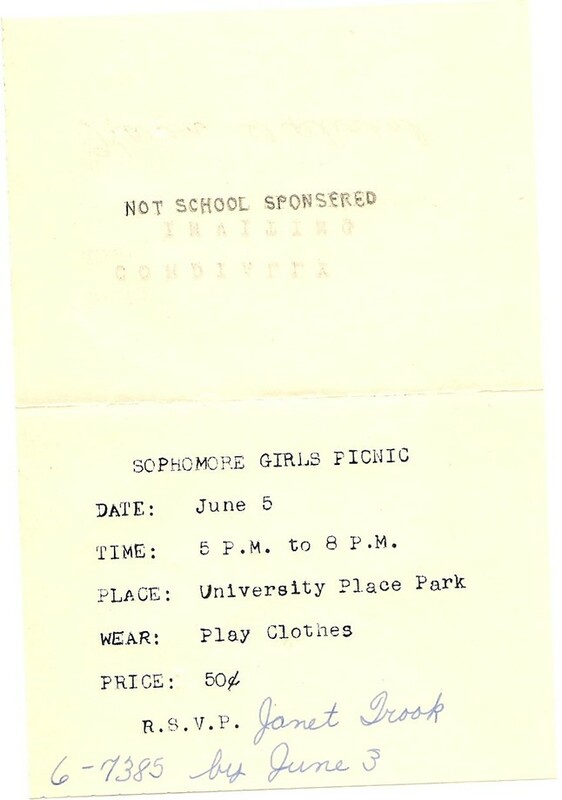 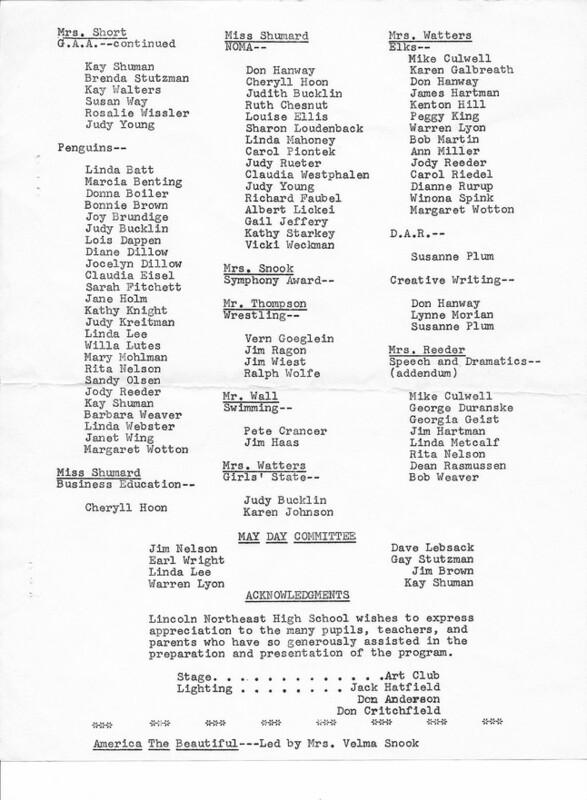 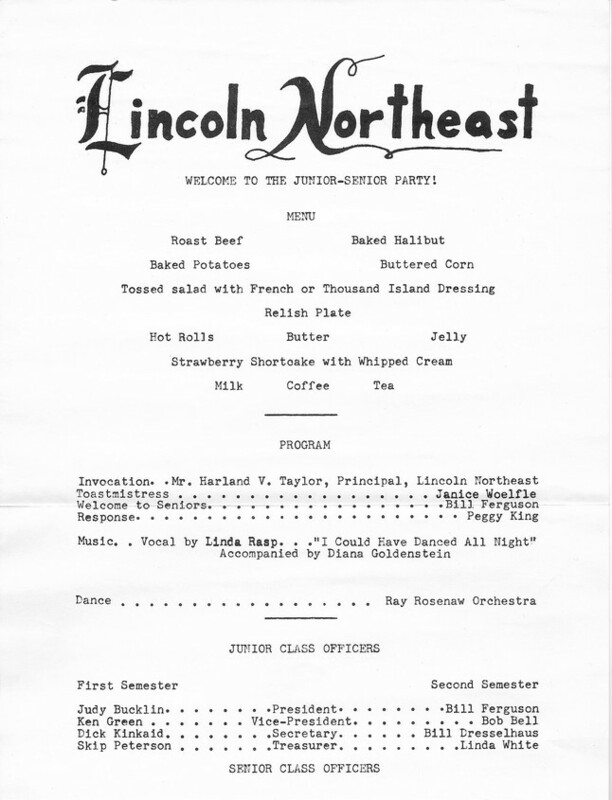 Below is the printed program from the play "Finian's Rainbow" presented at Northeast on April 29 and 30, 1960. 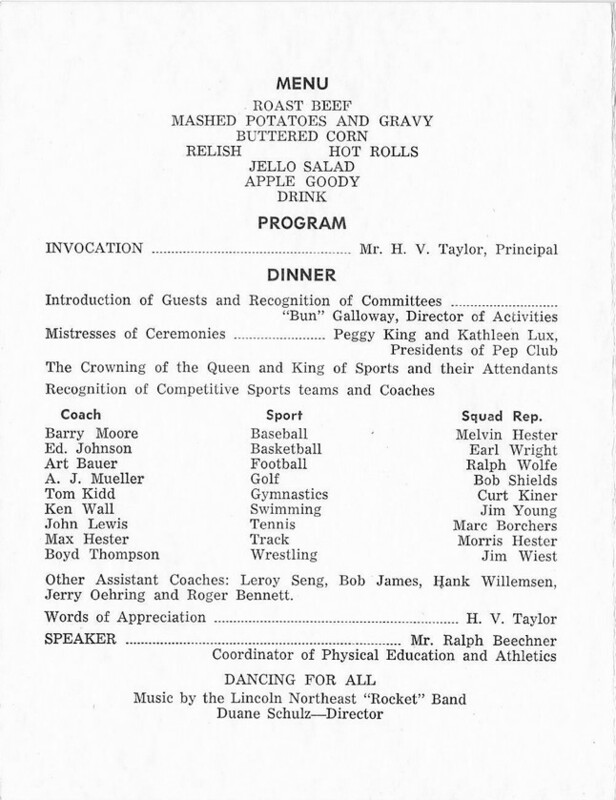 Click on the page of the program that you wish to see. 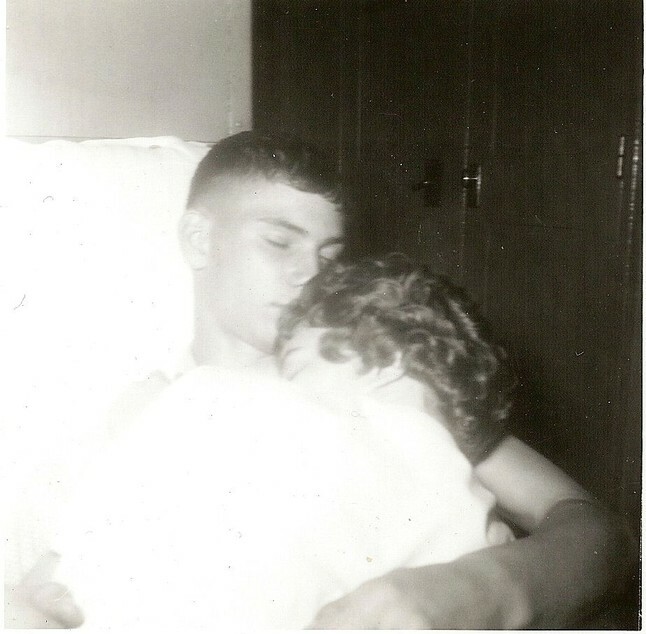 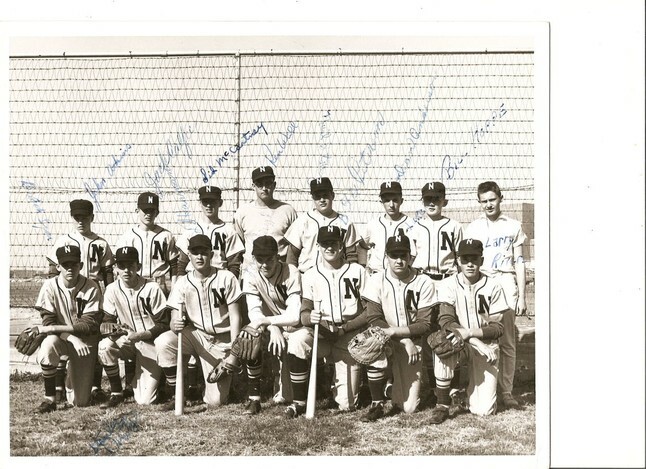 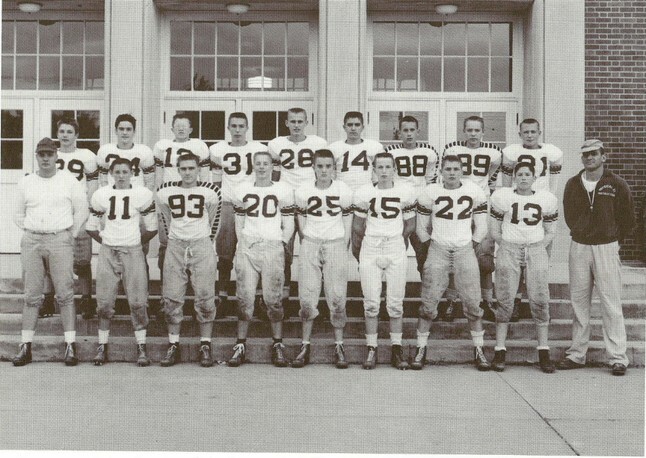 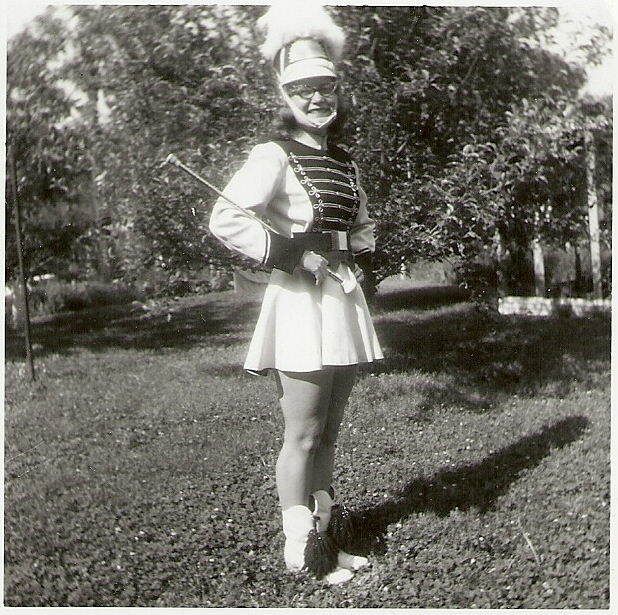 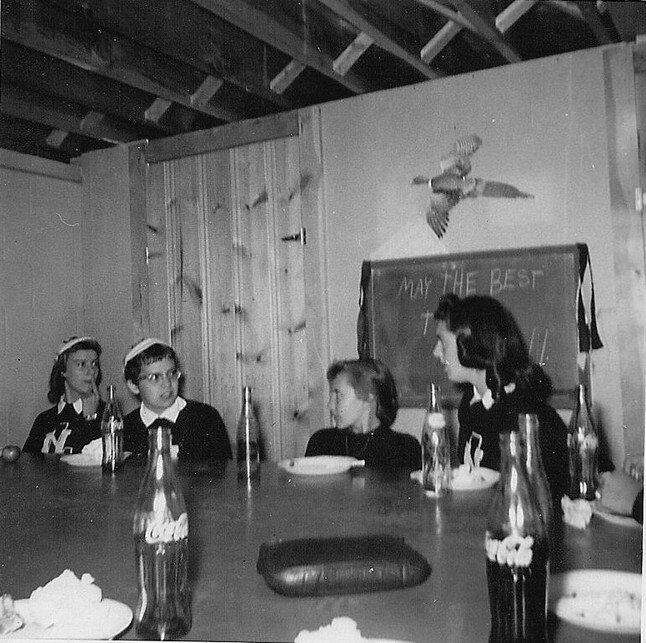 The picture above was taken in November 1959. 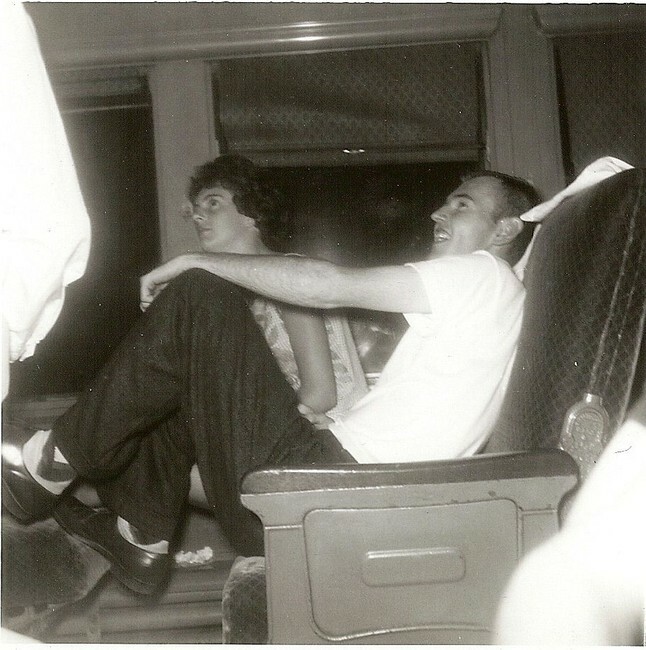 Pictures taken on the train ride. 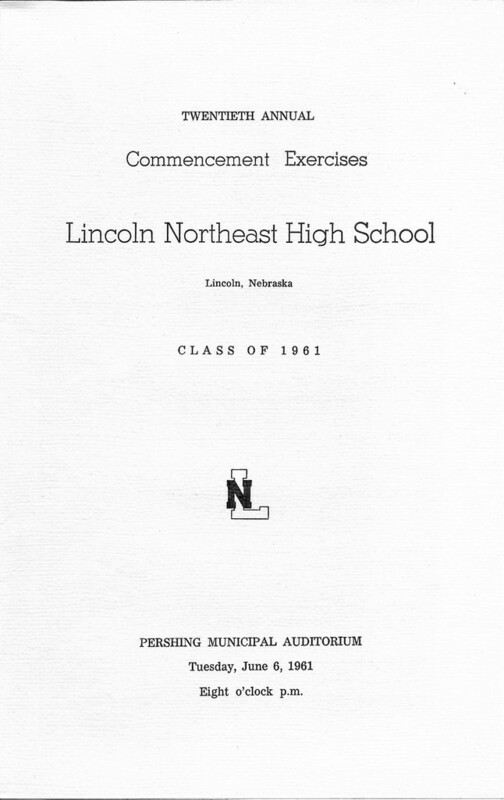 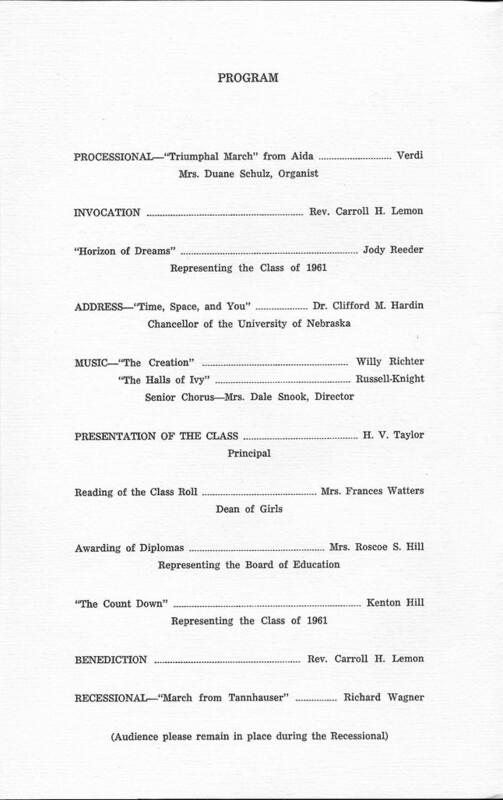 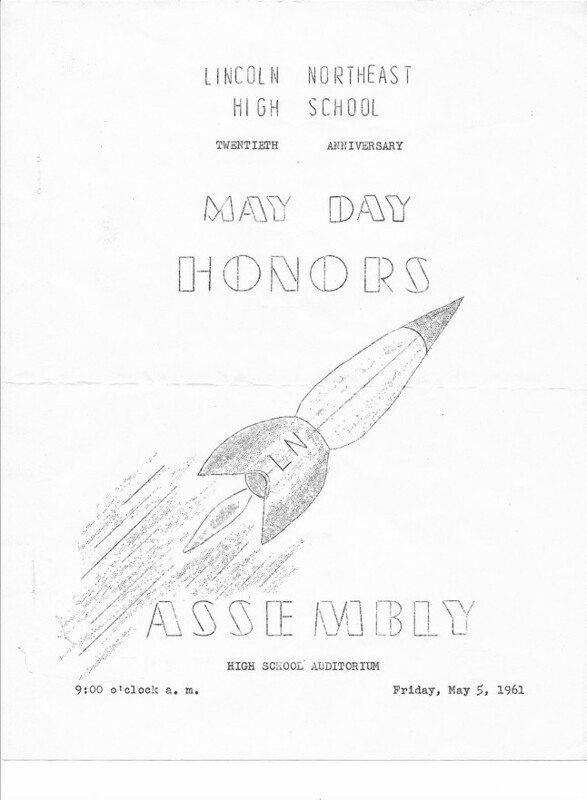 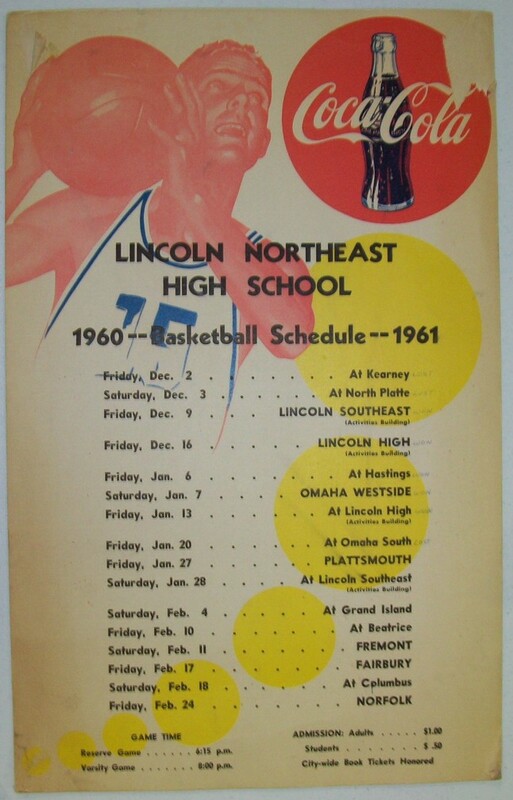 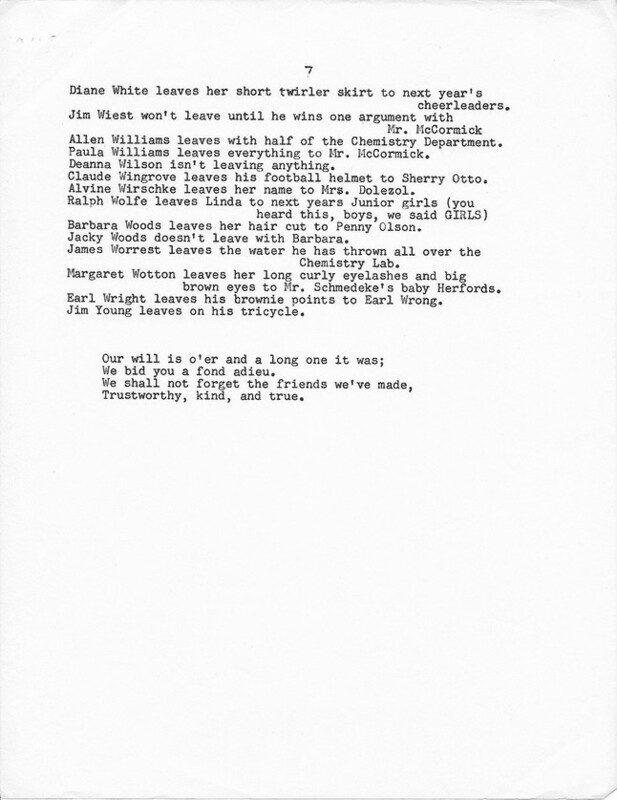 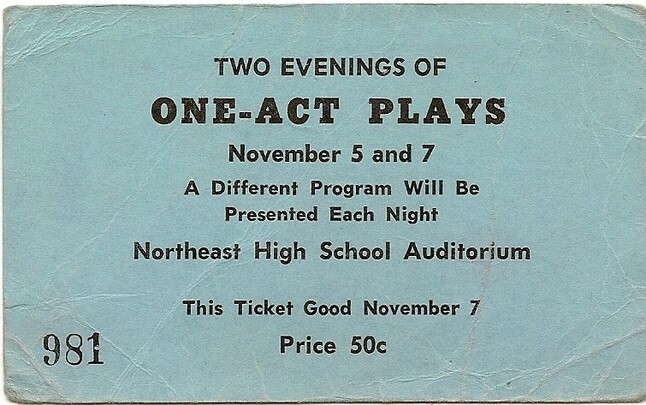 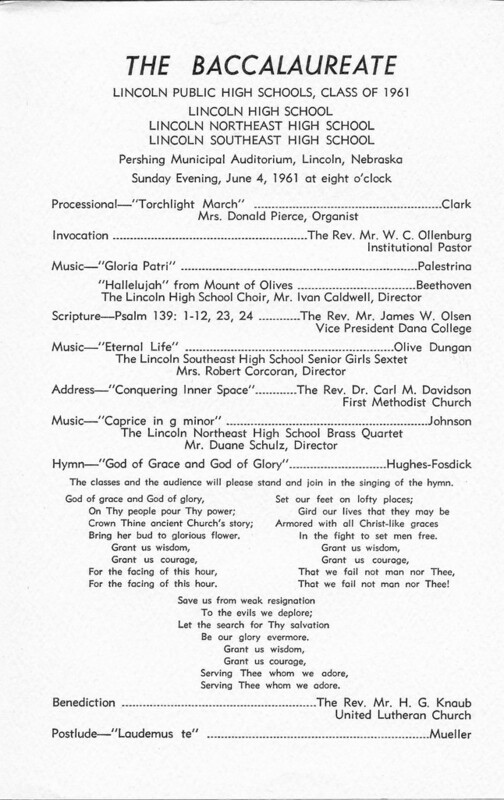 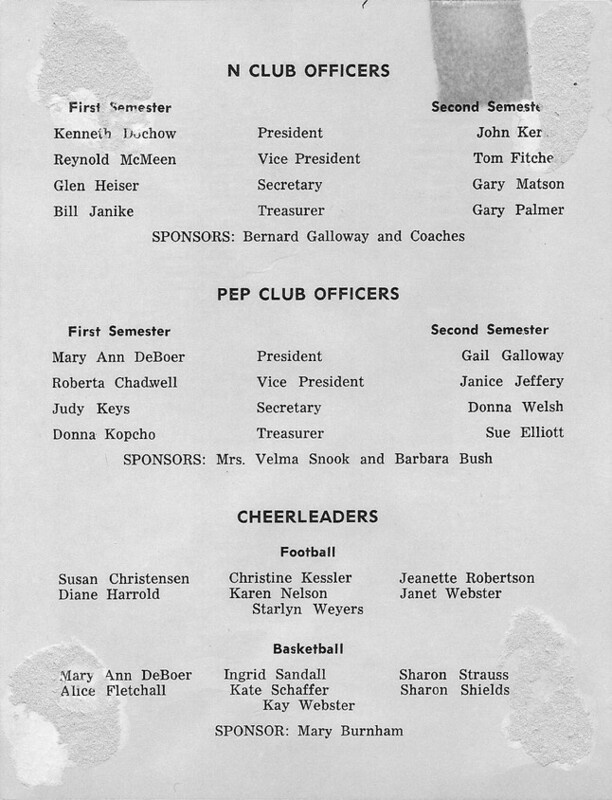 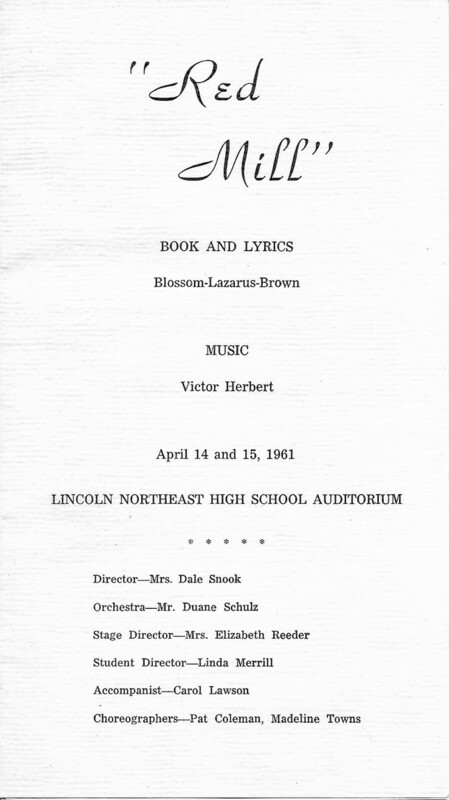 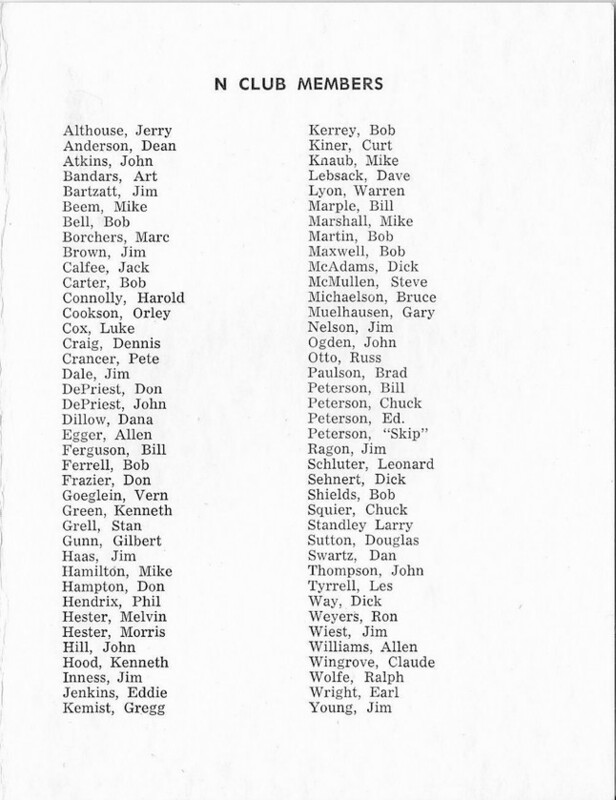 Below is the printed program from the "Red Mill" play presented at Northeast on April 14 and 15, 1961. 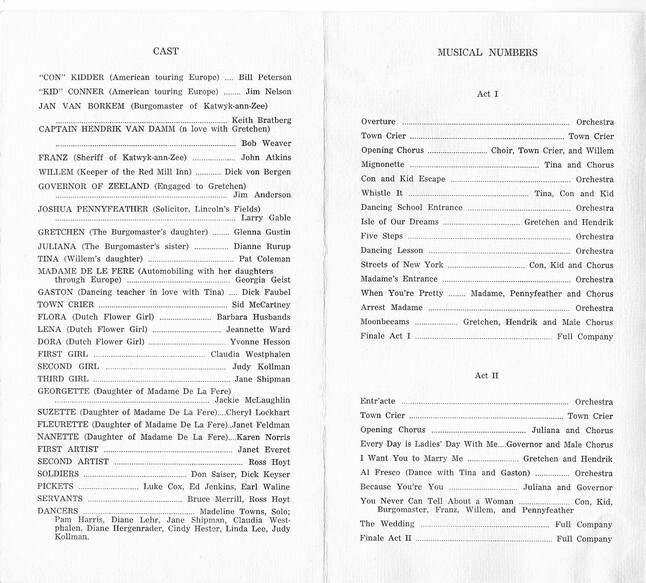 Click on the page of the program that you wish to see. 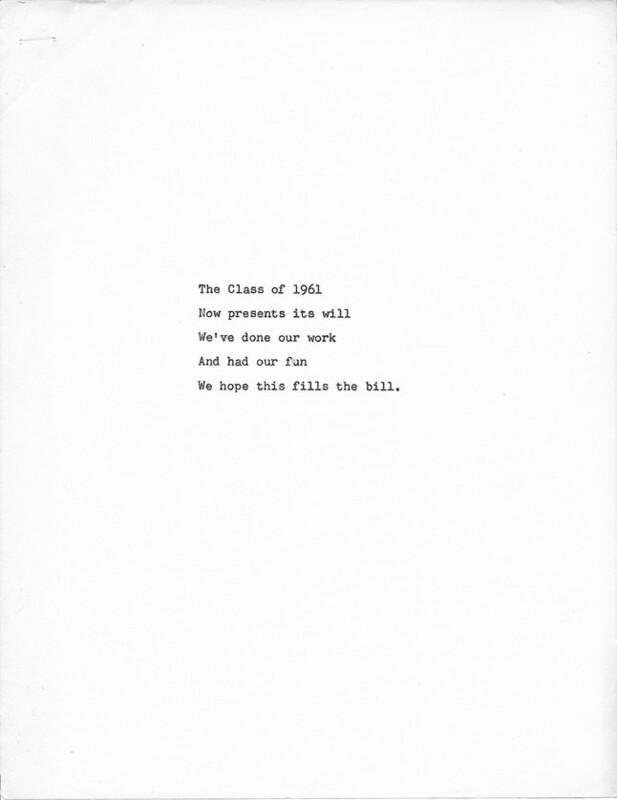 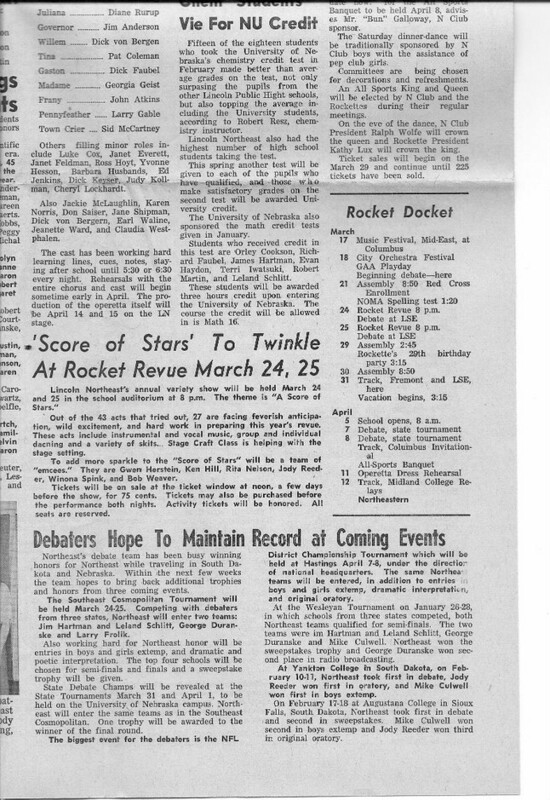 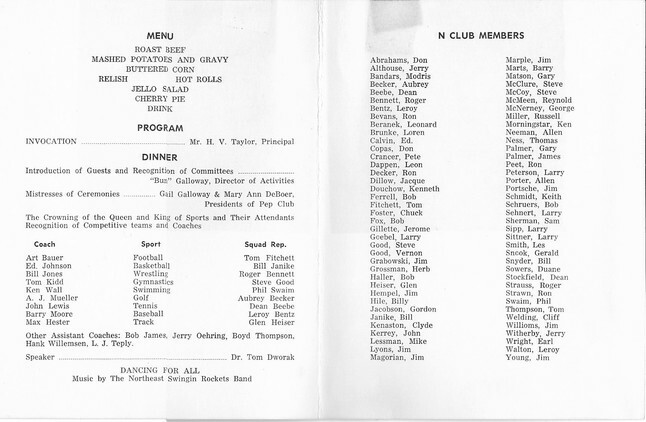 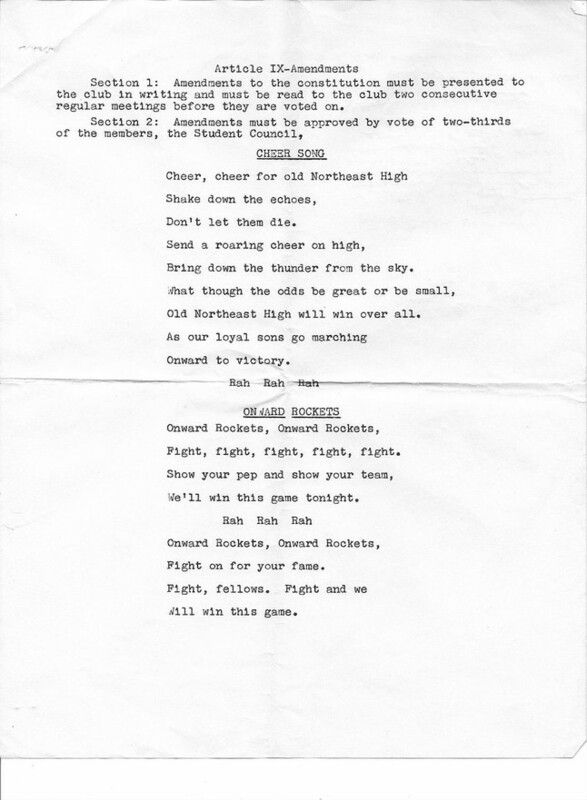 Below is the printed program from the Rocket Revue called "A Score of Stars" presented on March 24 and 25, 1961. 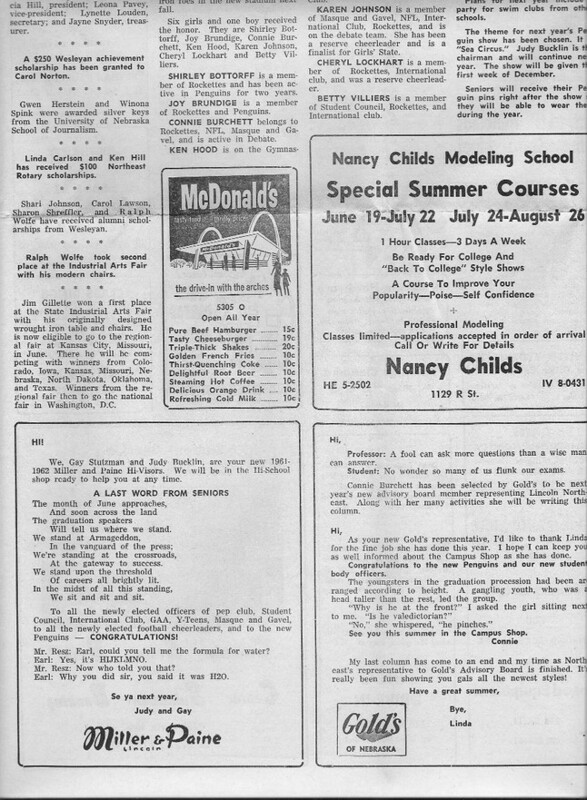 Click on the page that you wish to see. 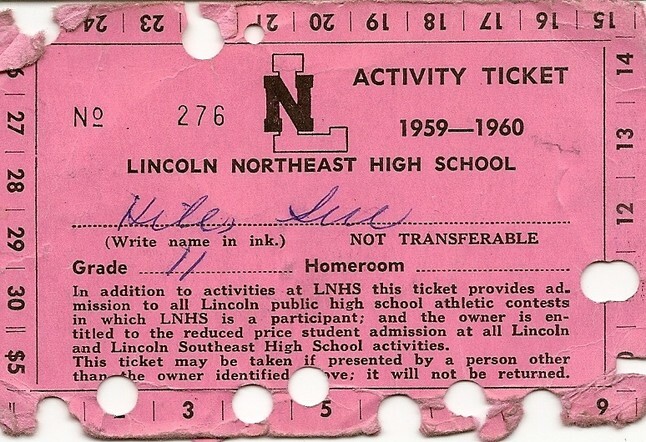 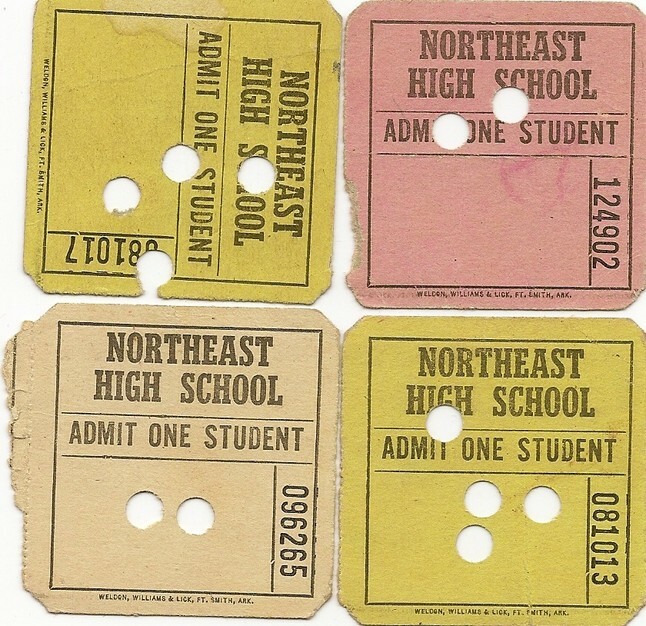 Tickets used to attend the lunch hour movie in the auditorium. 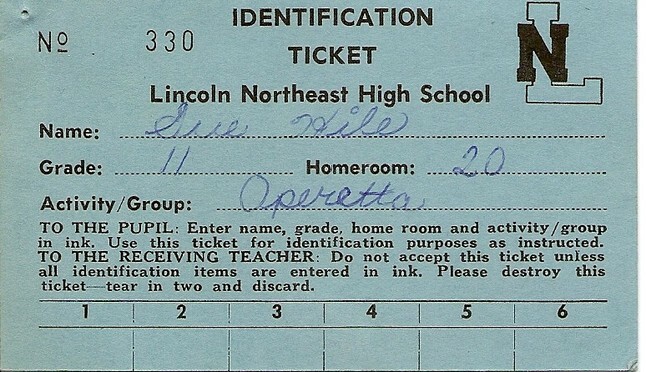 Each day that it was used got you one more punch in your ticket. 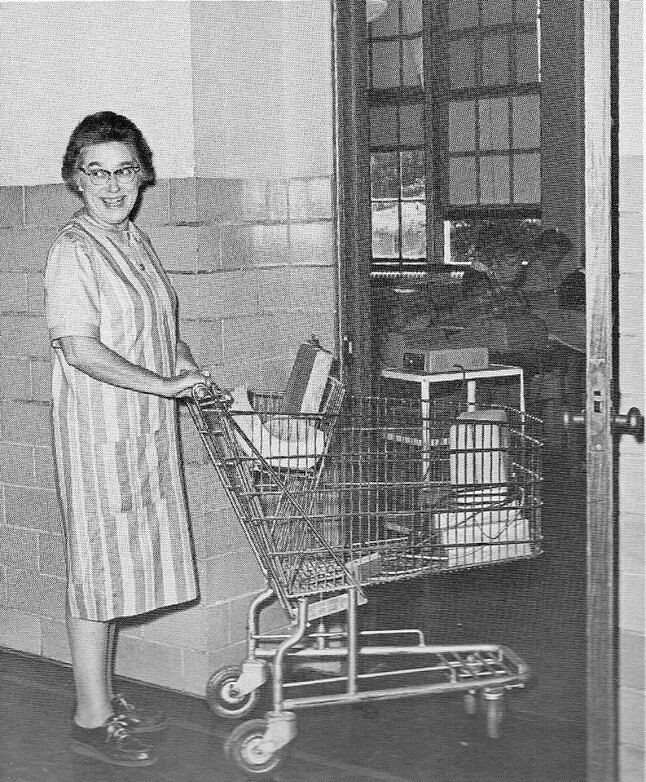 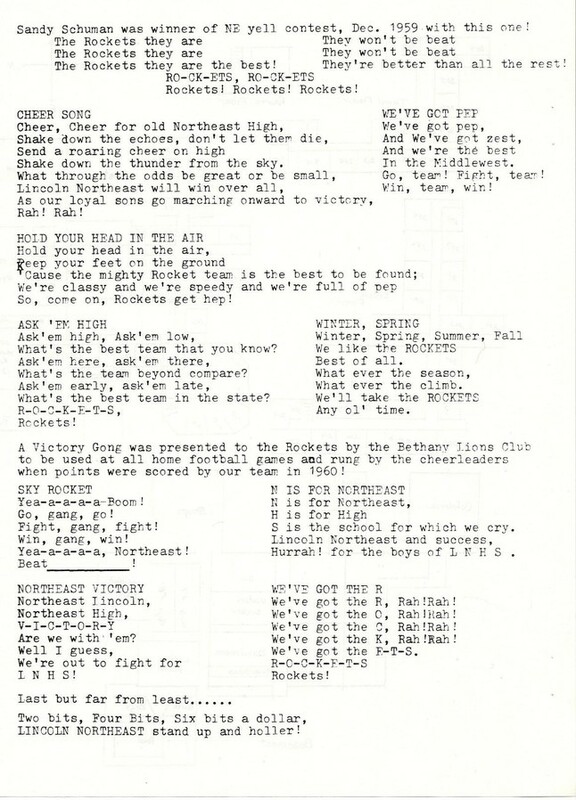 From the book "Sound of Rockets Echo"
The picture above was taken at Northeast. 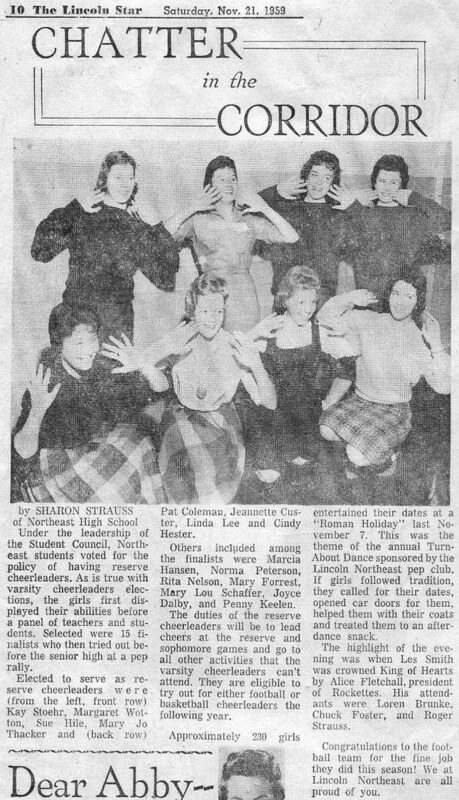 Miss Shumard. 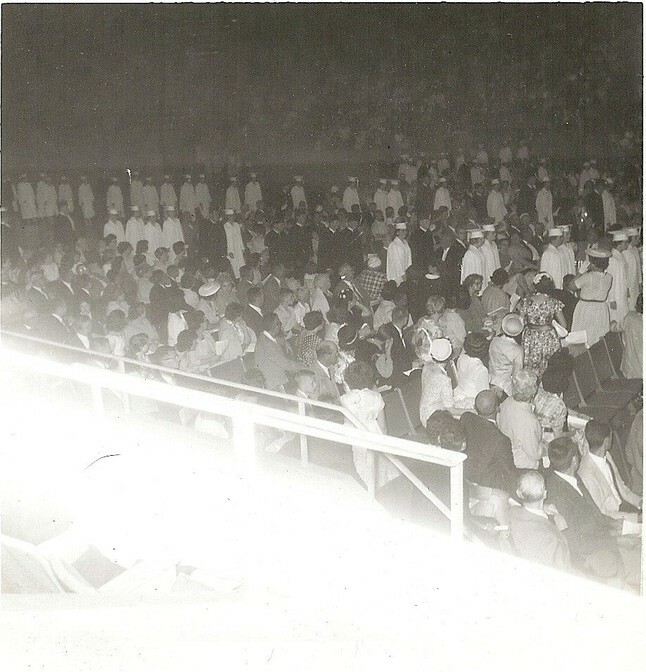 This picture is from the New York World's Fair. 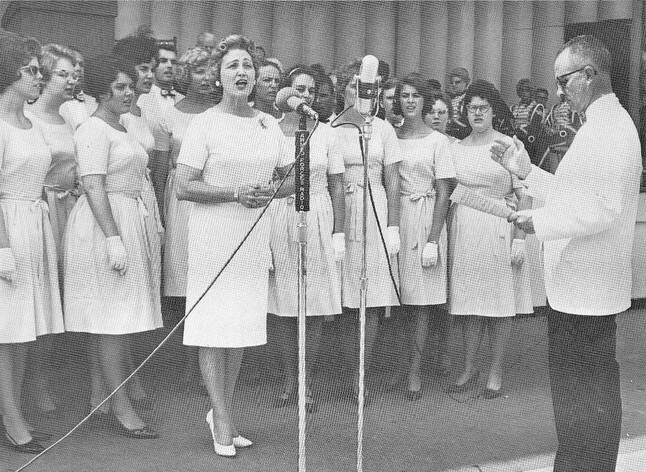 Just to the left of the lady in front that is singing is Penny Paulson. 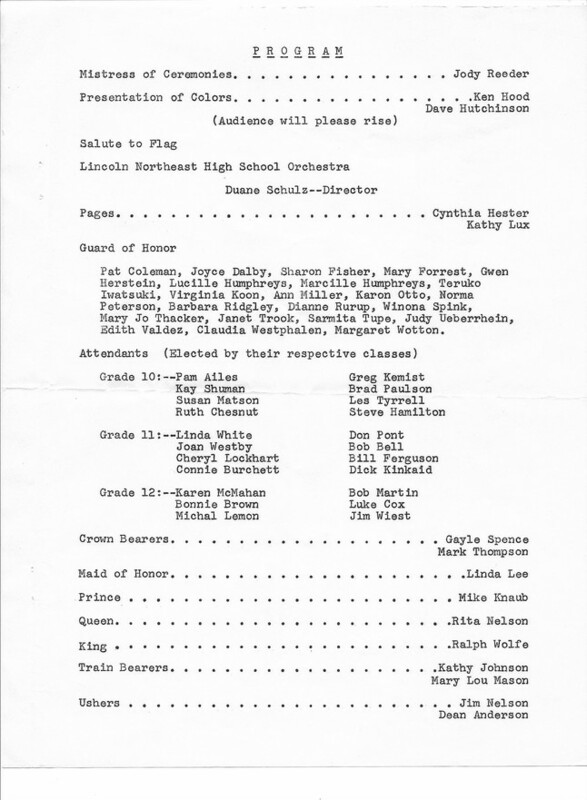 Her dad, Dr. Paulson is the director. 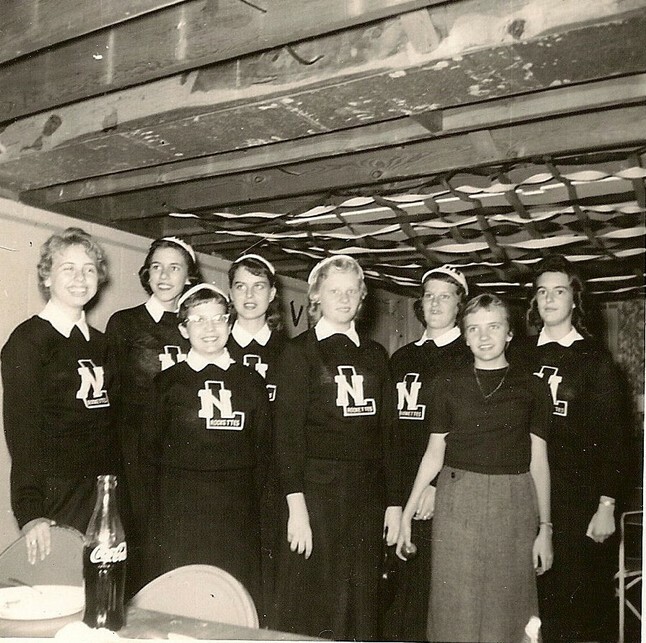 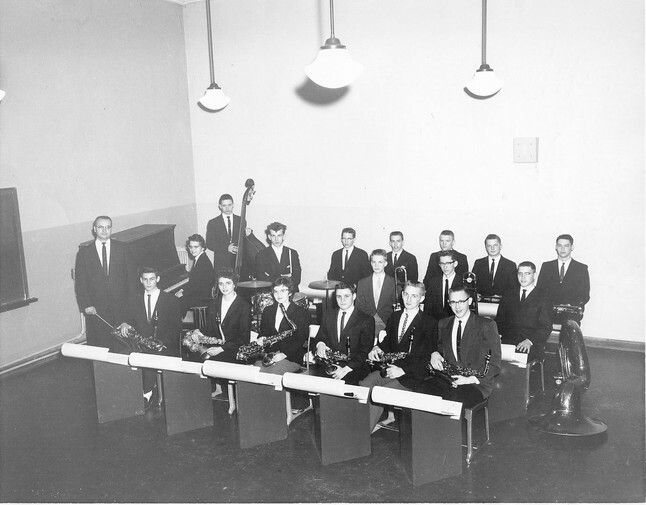 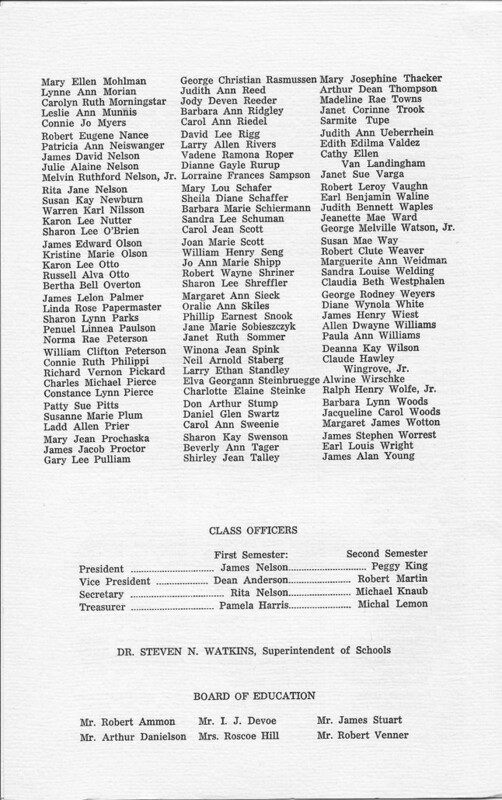 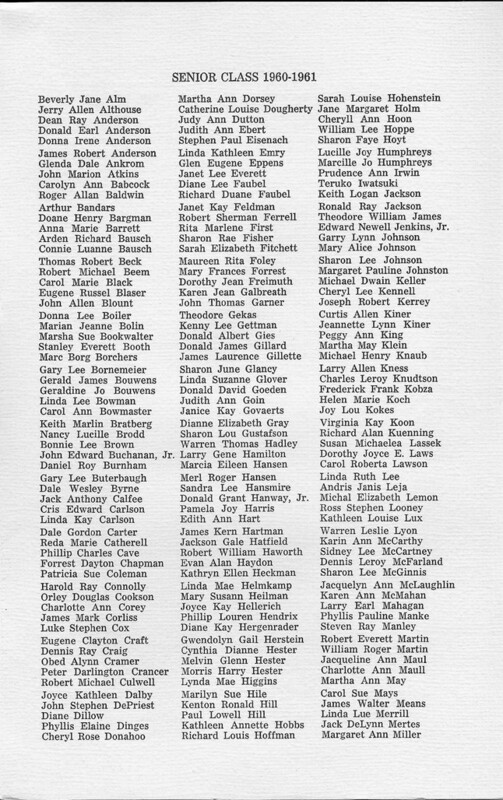 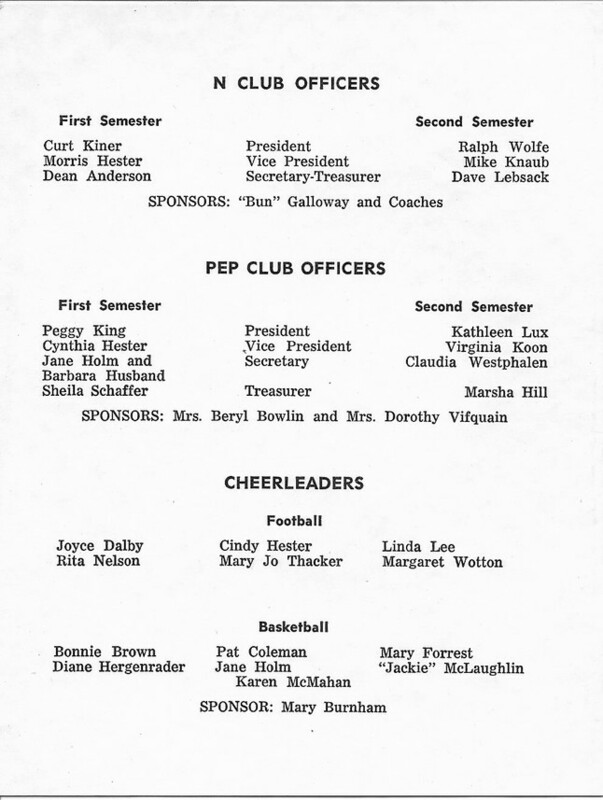 The first person visible on the right end of the second row is Carol Lawson.